More than two centuries after they were scattered, a medieval altarpiece, reliquaries and art works from the Premonstratensian convent of Altenberg in central Germany have been reunited at Frankfurt’s Städel Museum. Heaven on Display. 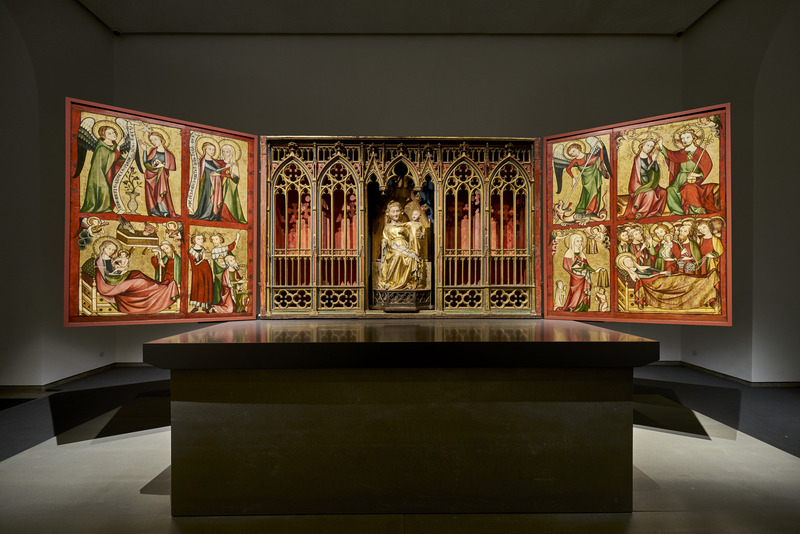 The Altenberg Altar and Its Imagery brings together 37 precious devotional objects from the late 13th and early 14th centuries that have been in separate collections since Napoleon was cutting a swath through Europe. 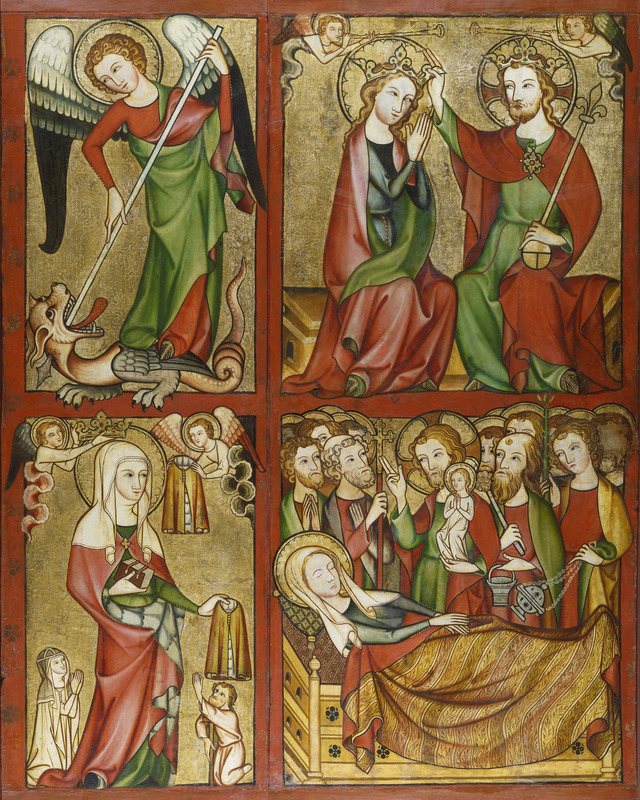 The star of the show is the Early Gothic Altenberg Altar, a folding high altar retable with a shrine cabinet, a polychrome statue of the Madonna and Child in the middle niche and painted panels on each side. 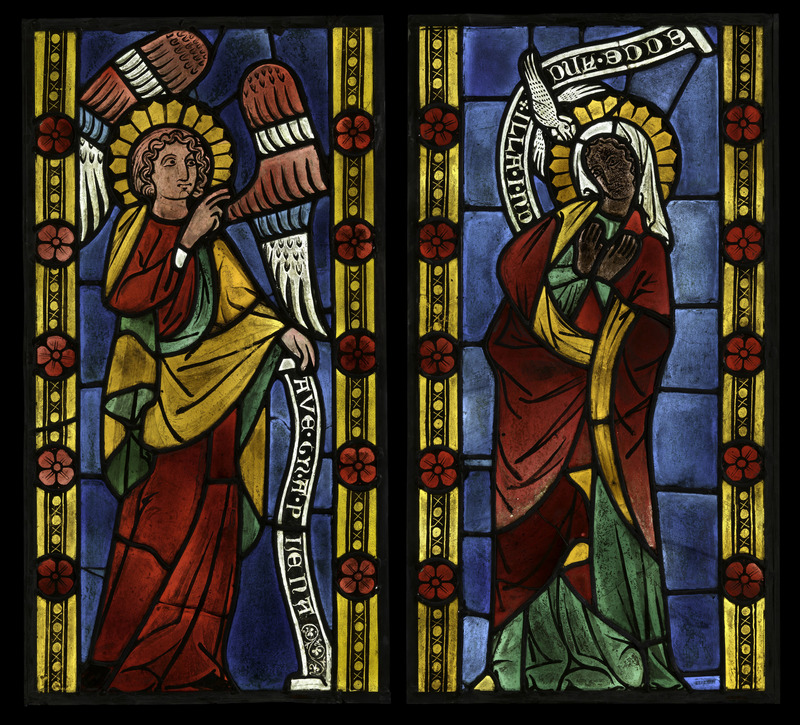 The wings, some of the earliest surviving examples of German panel painting, are part the Städel’s permanent collection, but the rest is on loan. Other objects include reliquaries the once were kept in the shrine cabinet of the altarpiece, goldsmithery, 13th century altar crosses, figural glass paintings from an early 14th century window and two embroidered linen altar cloths made around 1330. The altar cloths are large, elaborately decorated pieces that were placed on the altar in front of the retable. 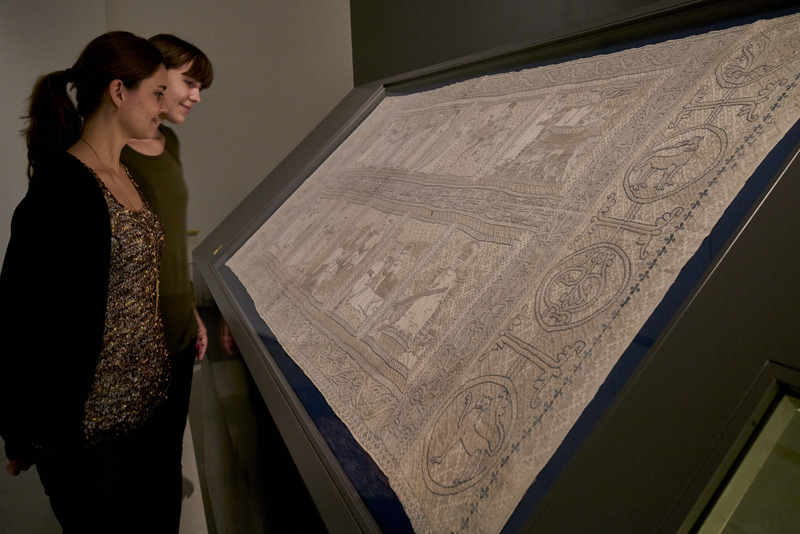 No other altar cloths from the Early Gothic period in Germany have survived. Sometime before 1192, Emperor Barbarossa granted the convent the status of imperial immediacy, which put it under the direct rule of the Holy Roman Emperor, exempting it from vassalage to the local lords, essentially a guarantee of independence. The daughters of area nobles joined the convent and endowments from their families over time transformed a small, obscure abbey into one of wealth and power. One of those daughters was Gertrude, the child of St. Elizabeth of Hungary and Louis IV, Landgrave of Thuringia, who died a few months before Gertrude was born. After her beloved husband’s death, Elizabeth dedicated her life to asceticism and charitable works, so much so that she gave up basically everything in the world that she loved, including her children. Little Gertrude was two years old when she was sent to live with the canoness of Aldenberg. She took the veil and became cannoness herself when she was just 21. Her rule lasted until her death 49 years later. Elizabeth was already dead by the time her daughter dedicated her own life to piety and mortification of the flesh, felled by a fever when she was 24 years old. Only five years later she was canonized. Gertrude collected relics of the mother she had only had childhood memories of, if any, for the abbey. 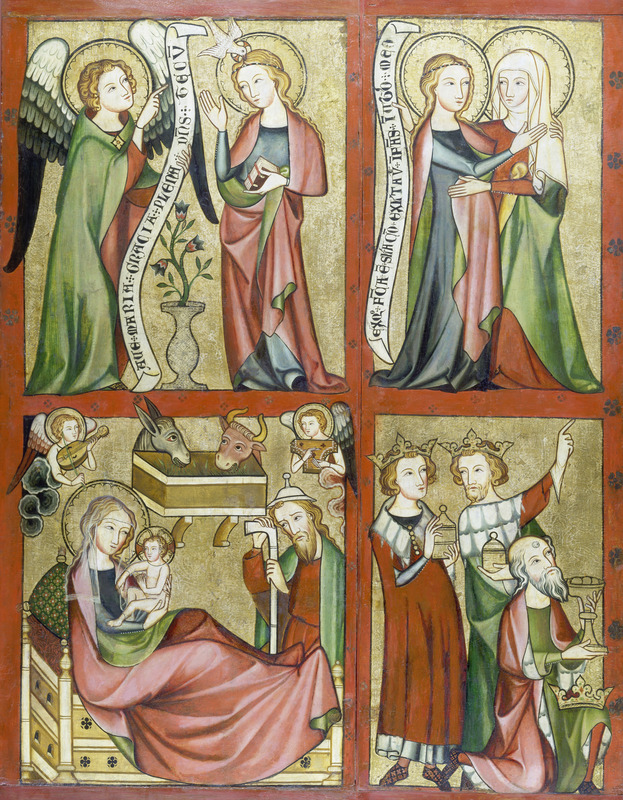 The works on display are examples of Gertrude’s devotion to her literally sainted mother. There’s a tapestry from 1270 woven with scenes from the life of Elizabeth and Louis IV which may have been hung behind the altar on important occasions before the altarpiece was built, an arm reliquary shaped like an arm and containing an arm, Elizabeth’s silver jug and a ring that once belonged to Louis. The convent managed to retain its imperial status through the Reformation, the decline of imperial power and rise of the princes after the Thirty Years’ War. It came to an end with the Final Recess of 1803 when Napoleon compensated German princes who had lost lands west of the Rhine to France with ecclesiastical territories. Altenberg, monastery, church and extensive agricultural and forested lands, became the personal property of the Princes of Solms-Braunfels who had long coveted it. They turned the convent into a summer residence and distributed its works of art and devotional objects throughout their castles. 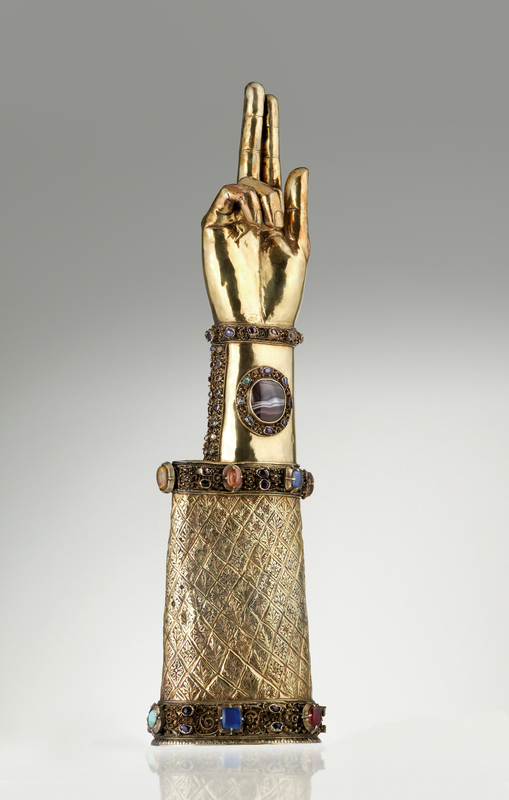 The altar went to Braunfels Castle, the arm reliquary of St. Elisabeth to the chapel of Sayn Palace. From there they made their way into museums and collections around the world. The Städel Museum in got the wings of the altar in 1925. Other collections including those of the city of Frankfurt, Munich’s Bayerische Nationalmuseum, the Hermitage in St Petersburg and the Metropolitan Museum of Art in New York City all have bits and pieces of Altenberg. It’s an impressive feat reuniting so many elements of the medieval convent to put the objects in some semblance of their original context. The exhibition is on right now and runs through September 25th, 2016. 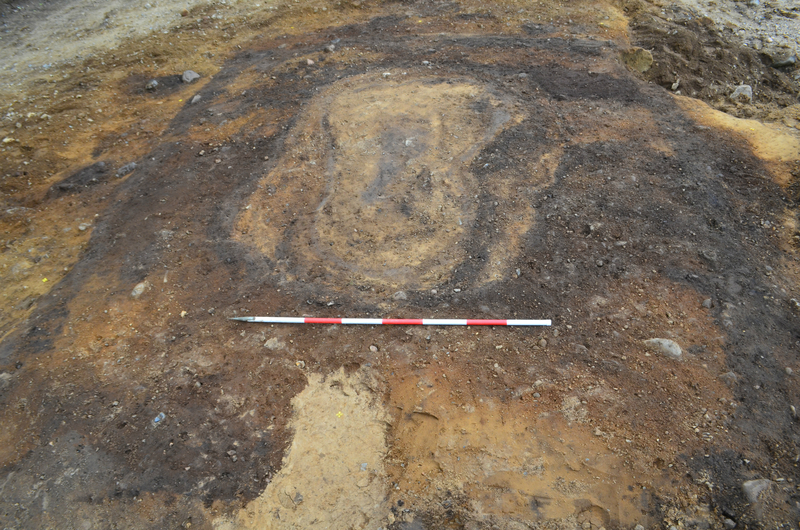 In 2012, highway construction in Hårup, southwest Denmark, unearthed an unusual grave. It’s a Viking tomb of a type known as a death house, a palisade structure similar to the simple roofed post-in-ground structures that would evolve into stave churches. This is the first death house found in Denmark. It measures four by thirteen meters (about 13 x 43 feet) and has one large room with two graves, and an addition that was built later to house one more grave. The death house dates to around 950 A.D. 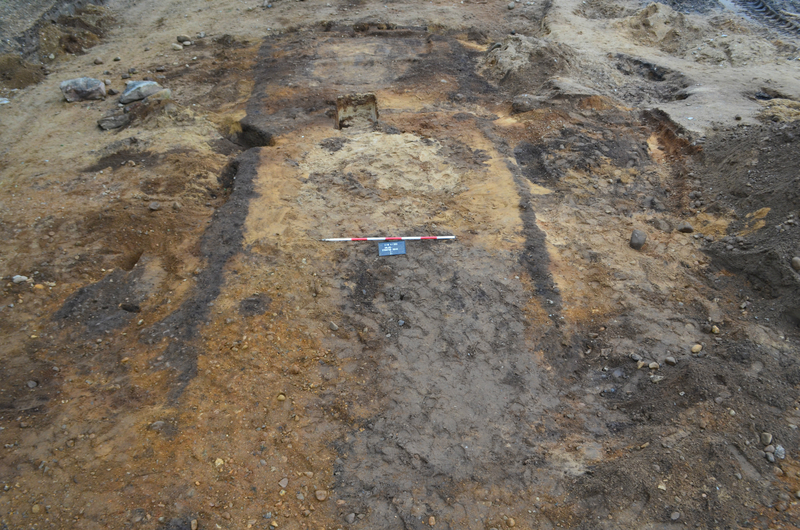 Acidic soil has left no detectable human remains, but archaeologists were able to determine the gender of the people buried in the death house from their grave goods. In the main room are a man and woman, the former identified by a large battle axe that was called the Dane Axe in the 10th century. Its imposing size made it an intimidating and highly destructive weapon when wielded by an able fighter. Its weight and size made it a useful tool break apart enemy shields along their seams. In the 10th century, this would have been extremely expensive, an elite weapon for nobility or the obscenely wealthy. The second person in the main chamber was buried in a wooden wagon typical of burials of noble women. Buried with her were two keys, one larger one symbolic of her status as the lady of a great household. The second key fits a square box that was found by her feet. Fine accessories buried with her include gold and silver ribbon and fur. The person buried in the addition is also an adult male. He too was buried with an axe in his grave, only his was smaller. “It could be the gentlemen and the lady of the local area and maybe their successor. They’ve at least been honoured in a special way, so they must have been important,” says [excavation leader Kirsten Nelleman] Nielsen. [A]rchaeologist Henriette Lyngstrøm from the University of Copenhagen, Denmark,… has seen examples of shared graves before, but the way that the men and women are laid in this grave does indeed indicate a powerful couple, she says. Nielsen thinks the design inspiration for the death house may have been foreign. 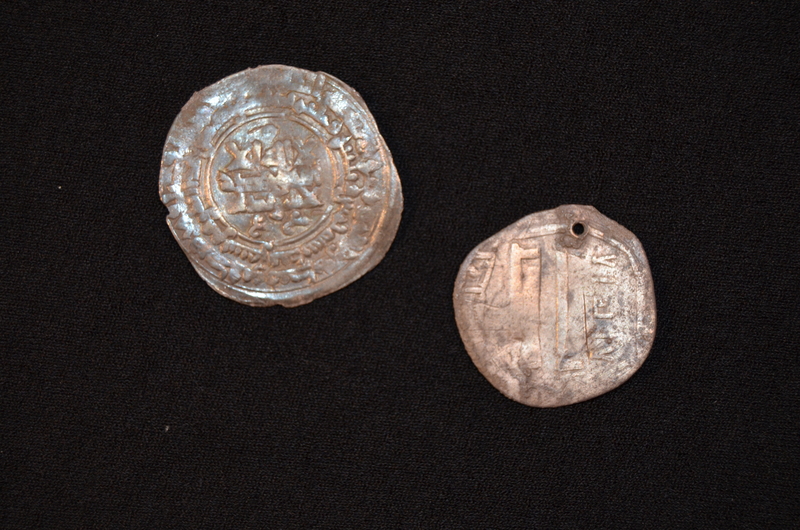 The remains of a clay vessel found in the woman’s grave is of a type produced in the Baltic, and she also had two silver coins from what is now Afghanistan. The couple either acquired goods from traders who ranged far and wide or were perhaps well-travelled themselves. If the death house was inspired by a similar structure from elsewhere, that might explain why not other such tombs have been found in Denmark. Lyngstrøm believes there are more death houses in Denmark; they haven’t been found yet. Nobody was really looking for them. 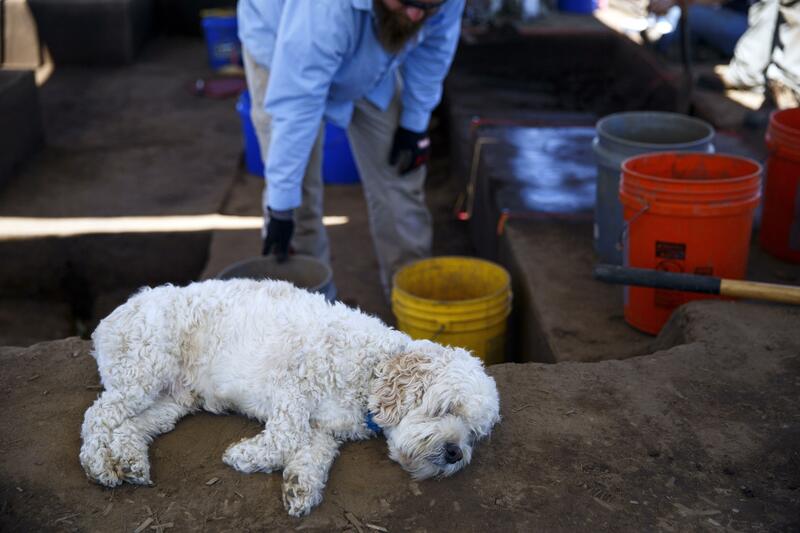 Perhaps this first discovery of its kind will stimulate archaeologists to make associations they haven’t previously made when excavating at tomb. For example a necropolis in Hornbæk, a coastal resort town in northeast Denmark, has the remains of structures at the entrances that may have been death houses, or at least a version of them. The Silkeborg Museum is hosting an exhibition running through October 23rd that presents an overview of the discoveries made during the highway construction project. It includes the reconstruction of the woman’s grave, the grave goods and some of the other finds from the Stone Age to the 19th century. 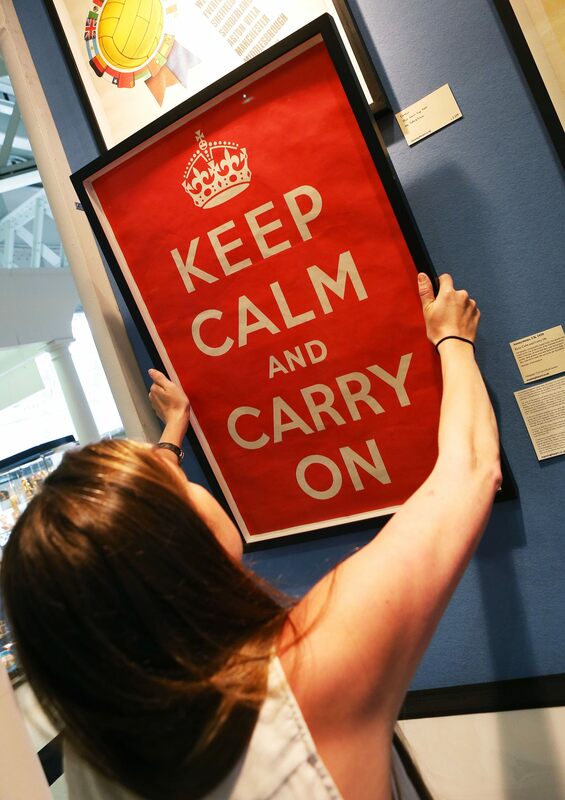 Before it was an inescapable meme of infinite variety plastered on every crappy consumer product ever cranked out by Chinese industry, the “Keep Calm and Carry On” slogan graced a British Ministry of Information poster printed, but never used, in the early days of World War II. It was one of three poster designs in plain text bearing the crown of King George VI printed in August of 1939 to shore up the morale of the country through the confusion and fear that were sure to follow should war break out. The other two posters — “Your Courage, Your Cheerfulness, Your Resolution Will Bring Us Victory,” and “Freedom Is in Peril Defend It with All Your Might” — were quickly distributed after Britain’s declaration of war on Germany on September 3rd, 1939. 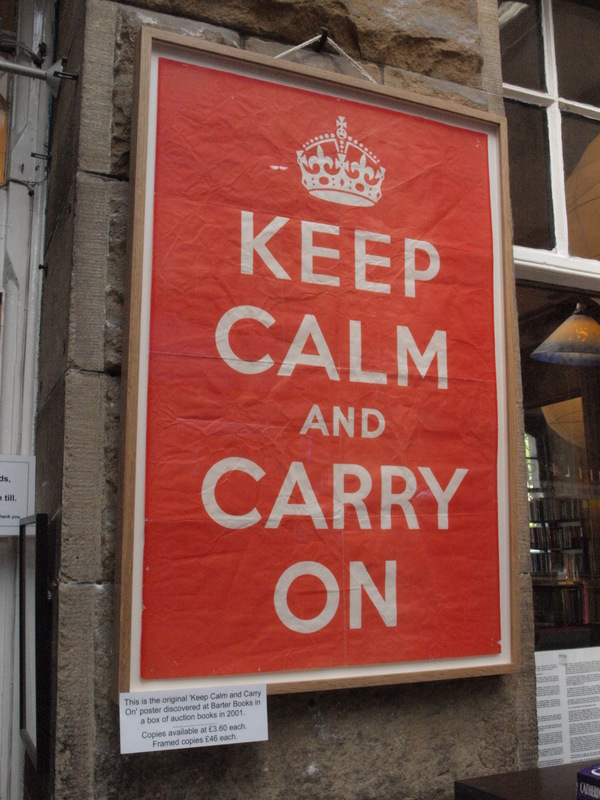 “Keep Calm,” which was intended for use in the worst case scenario of a German invasion and since that never happened, those posters were never posted. They were widely distributed as part of the preparations for war, but most of the print run of 2.5 million posters was pulped when paper shortages struck. Never seen by the public, the poster was unknown until 2000 when one Stuart Manley, co-owner of Barter Books, a beautiful bookstore in a restored Victorian train station in Alnwick, Northumberland, found one folded in the bottom of a box of old books he’d bought at an auction. His wife Mary thought it was awesome, because it is, so she had it framed and hung it on the wall near the cash register. Customers went gaga for it, so the Manleys made copies of the poster to sell. Soon the original was outside the shop, drawing crowds and advertising the copies for sale. When it hit the internet, the slogan spread worldwide and in short order became the meme template we know today. For more than a decade, the Manleys’ poster was one of only two known. Then in 2012, Moragh Turnbull brought a cache of 15 of them to the Antiques Roadshow at St. Andrews University in Edinburgh. 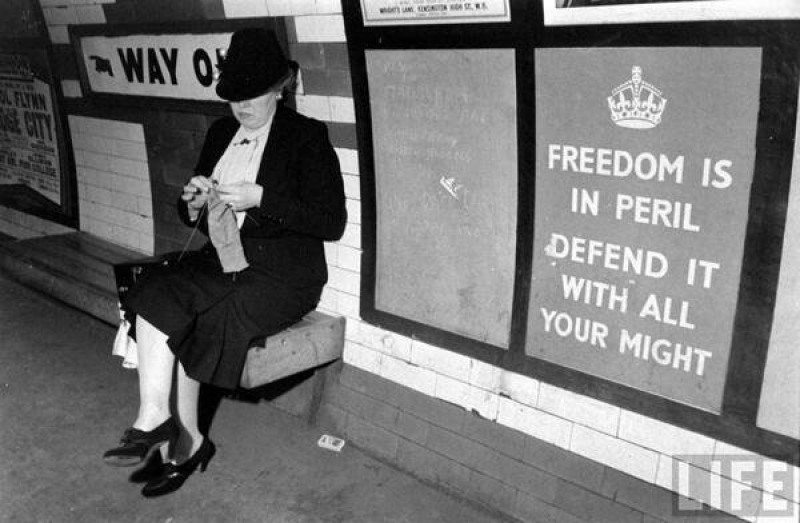 Her father William worked for the Royal Observer Corps in Edinburgh during the war and had kept many papers, including the “Keep Calm” posters that were distributed but never actually posted. The AR appraiser valued her posters at £1000. Now, four years later, the original poster that launched a thousand dish towels will be available for purchase at the Manning Fine Art stand at the Art & Antiques Fair, Olympia in London, open now through July 3rd. According to The Guardian price tag is £21,250, but the headline says it’s up for auction so that may be the reserve set or maybe even a pre-sale estimate. A teapot made by 19th century silversmith Peter Bentzon is the one millionth object digitized by the Smithsonian’s Mass Digitization Program. There are 154 million objects in the many collections of the Smithsonian Institute, so just 153 million more to go. Peter Bentzon was born on the island of St Thomas in the Danish West Indies around 1783. The child of a free mulatto woman and a white father, he was what the Danish categorized as a “mustice” or “mustee.” His family was comparatively well-off; it is believed his father was Norwegian lawyer Jacob Bentzon who was a royal judge advocate on St Thomas for several years. Peter was sent to school in Philadelphia when he was eight years old, and was apprenticed to a Philadelphia silversmith in 1799 when he was 16. His completed his apprenticeship in 1806 and moved to Christiansted, St Croix, where he started his own silversmithing business. The British occupied the island from 1807 to 1816 which was advantageous for Bentzon because the British didn’t have the strict laws the Danish had controlling the movements, professions and political rights of the free coloured population of its colonies. Denmark reclaimed St Croix in 1816 and Bentzon made arrangements to move his family and business back to Philly. He lived and worked there until 1829, after which he returned to St. Croix for another 20 years. He relocated to Philadelphia again in 1848. His name is on the 1850 Census. After that, he disappears from the historical record. Wherever he was living, he regularly traveled back and forth between Philadelphia and St Croix. 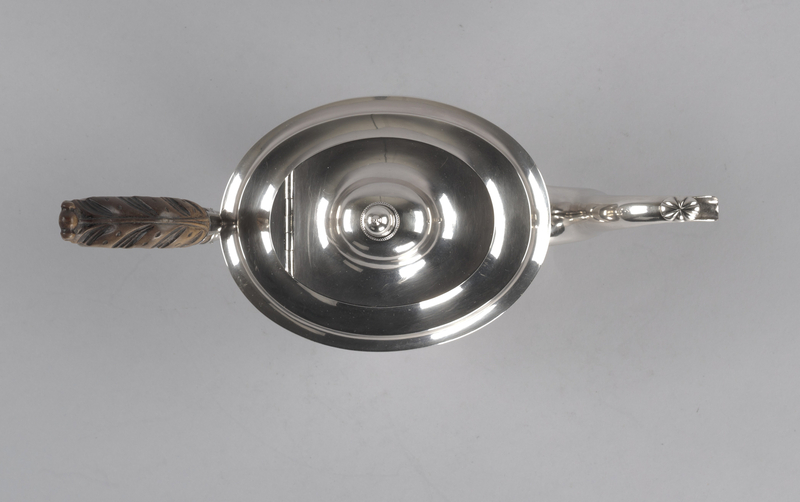 Bentzon was the only free silversmith of African descent in slavery-era America whose work can be identified from his hallmarks, P. BENTZON and PB. There were at least four other black silversmiths in Philadelphia during his time. Henry Bray and Anthony Sowerwalt are listed as silversmiths and “persons of color” in the 1813 and 1818 Philadelphia directories. Joseph Head and John Frances, a runaway slave, were also working as silversmiths. 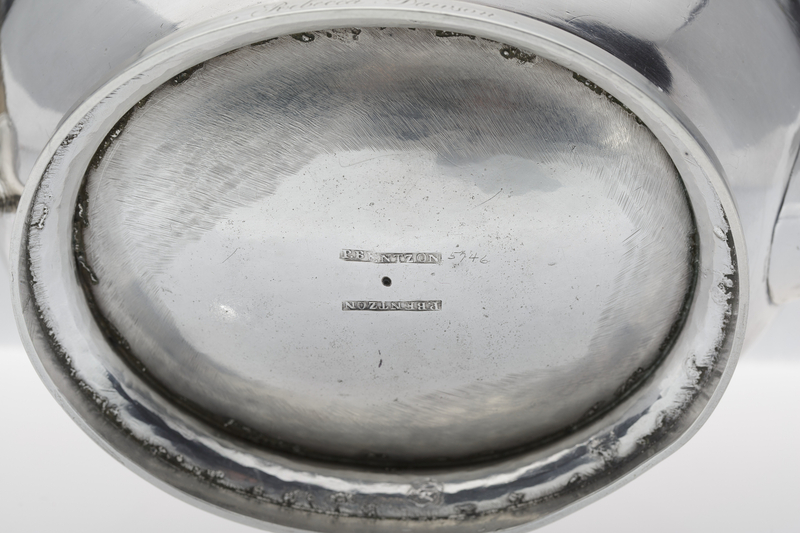 None of the four produced work under their own hallmark, however, so it’s impossible to link any surviving silver to them. Very few of Bentzon’s pieces are known to have survived, fewer than three dozen, most of them teaspoons. That makes his work rarer than that of famed fellow silversmiths like Paul Revere and Thomas Fletcher. 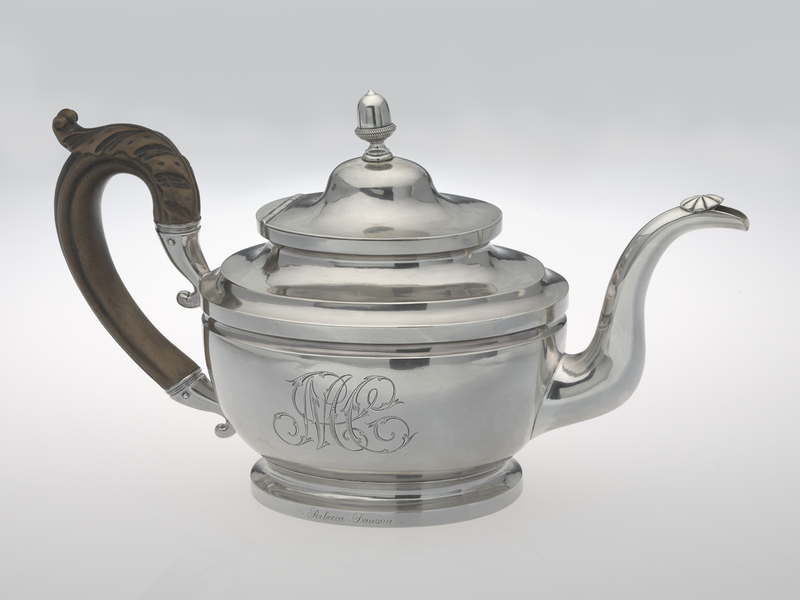 The Smithsonian’s teapot is the only one confirmed to have been made in Bentzon’s Philadelphia shop. 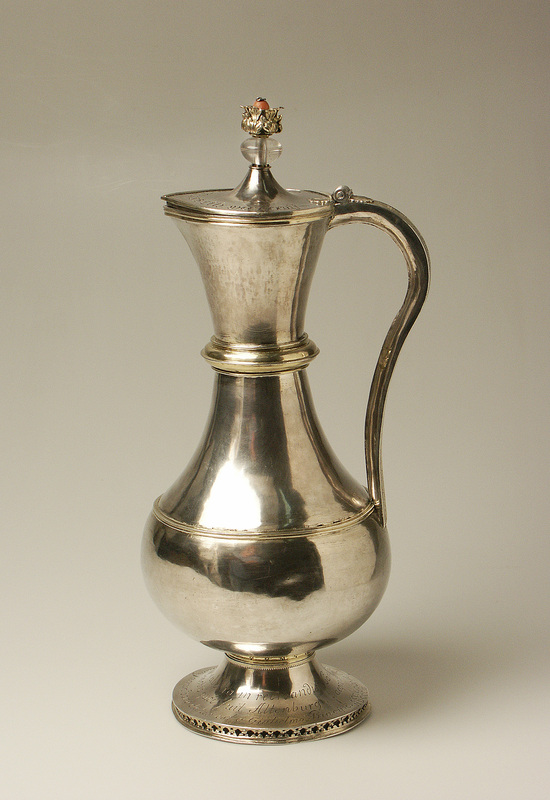 The silver teapot is an oval vase-shape on a pedestal foot. The scroll handle is made of wood topped with a leaf design. The cover has an acorn finial. It is stamped twice on the bottom with Bentzon’s mark and is inscribed “Rebecca Dawson” on the base. Bentzon rented his workshop from a Robert Dawson, so perhaps Rebecca was a relative of his landlord. The monogram “MC” on the side is a later addition. It is in the collection of the Smithsonian’s National Museum of African American History and Culture (NMAAHC) which isn’t an actual museum yet. There had been efforts to create a national museum displaying art and artifacts from African-American history since 1915, but with little funding and no Congressional support, proposals went nowhere. A state initiative was more successful. The National Afro-American Museum & Cultural Center in Wilberforce, Ohio, received a federal charter from Congress in 1981 and opened in 1988 with no public funding. Its focus was more narrow than that envisioned for the national museum, however, with its main exhibition dedicated to the struggle for Civil Rights in the 1950s and others featuring the city of Wilberforce’s history as an important stop on the Underground Railroad and the founding of historically black college Wilberforce University, the first college in the United States that was owned and run by African Americans. The Smithsonian’s collection of African-Americana didn’t see much light until dedicated exhibitions in the National Museum of American History in the 1980s. For a long time the Board of the Smithsonian itself questioned whether the collection could sustain a stand-alone African-American history museum, and it wasn’t until December of 2003 that all the pieces came together with the passage of the National Museum of African American History and Culture Act establishing the new museum within the rubric of the Smithsonian Institution. It took another three years for the site, part of the Washington Monument grounds, to be selected. Settling on a design for the building took even more time. Finally, ground was broken on February 22nd, 2012. Meanwhile, the Smithsonian took the innovative step of creating a virtual museum when the physical museum was still years away from construction. 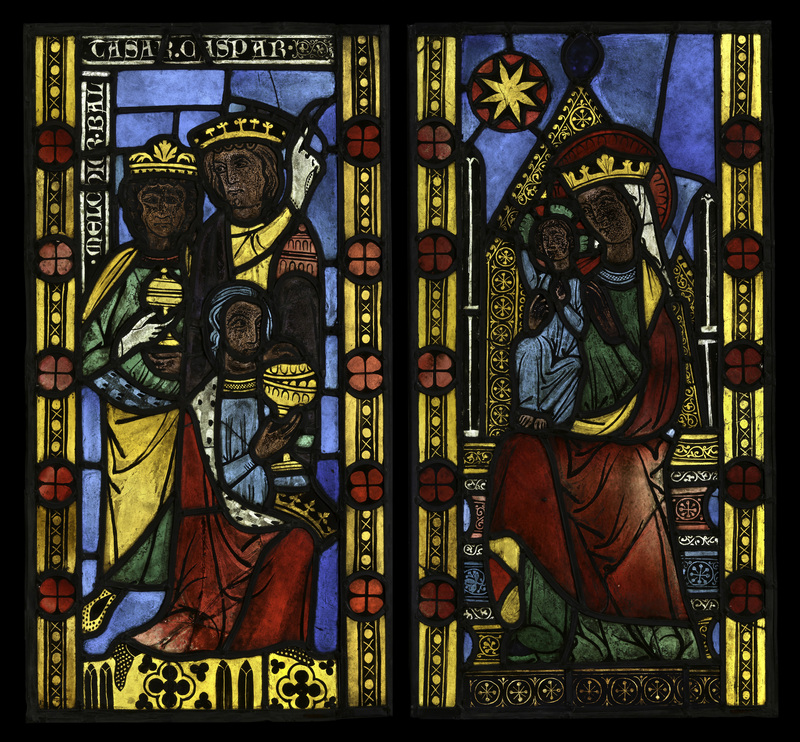 It created a website for the NMAAHC with select objects from the collection and online exhibitions. The first exhibition in the three dimensional world took place in New York in 2005. In 2012 the NMAAHC partnered with the Thomas Jefferson Foundation to put on an exhibition about slavery at Monticello held at the National Museum of American History. 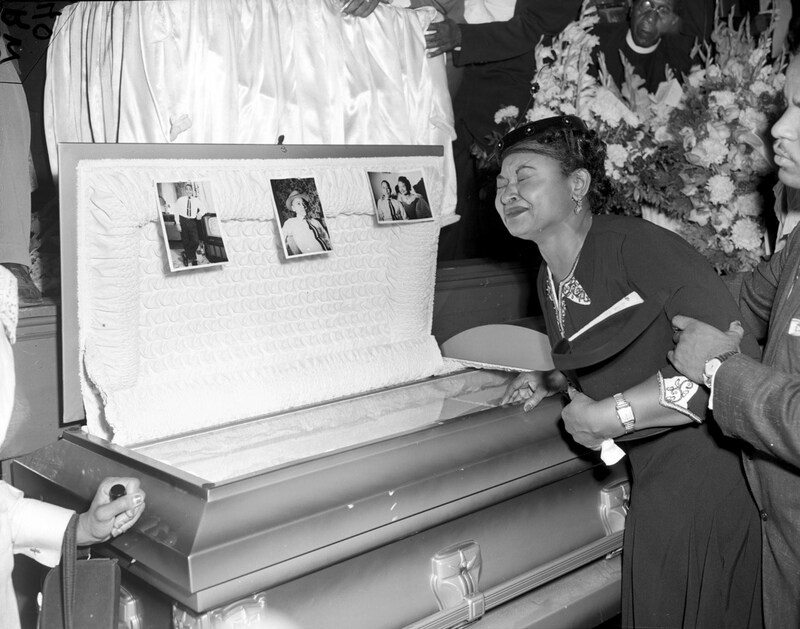 By 2015, the museum’s collection had grown to more than 33,000 objects including Louis Armstrong’s 1946 Selmer trumpet, 39 extremely rare Harriet Tubman artifacts donated in 2012 by collector Charles L. Blockson, Emmett Till’s glass-topped casket, a 1922 Pullman railroad car from Chattanooga, Tennessee, used to carry Black passengers under Jim Crow segregation and a guard tower from Louisiana’s notorious Angola penitentiary which was so big the museum had to be build around it. The National Museum of African American History and Culture will opens its doors in the new building on September 24th, 2016. Last year, the international and interdisciplinary archaeological team from the Jean Bérard Center of Naples excavating the Porta Ercolano are outside Pompeii’s northwest gate made headlines when they discovered a rare intact 4th century B.C. Samnite tomb. 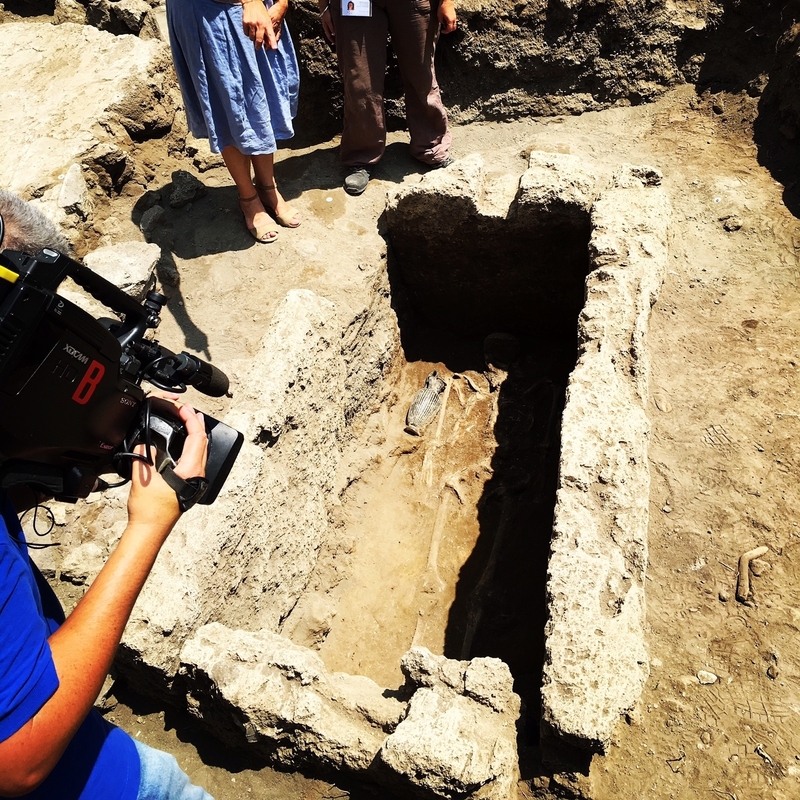 Now the same team has found another Samnite tomb from the same period, plus the skeletal remains of four people fleeing the eruption of Vesuvius and a few of the treasures they carried with them. As is traditional with Roman cities, areas outside the walls were used for tombs and for artisanal workshop, in this case primarily pottery shops, because they’d make a lot of noise, produce smoke, noxious odors, etc. that would be a nuisance in the densely populated city center. 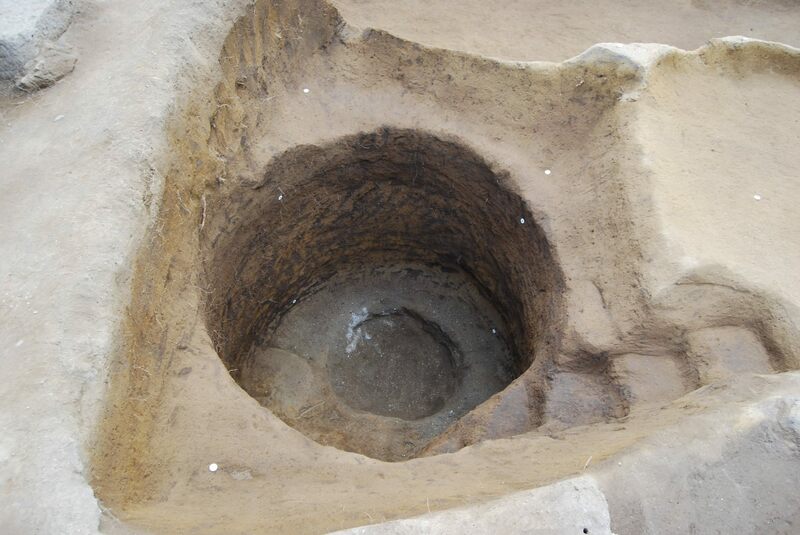 In fact, the team has been excavating this area for five years to study the pottery production facilities and the role of crafts in the Pompeiian economy. They didn’t really think they’d find anything new in this particular spot because it had already been excavated in the 19th century by the great Giuseppe Fiorelli, Pompeii’s groundbreaking director of works who devised the plaster cast system to capture the last moments of Vesuvius’ victims. Soon after the dig season began on May 16th, the team was delighted to find, in keeping with their mission, the remains of two shops. One had a vertical pit with a staircase built into the side, a unique design never found before in Pompeii. 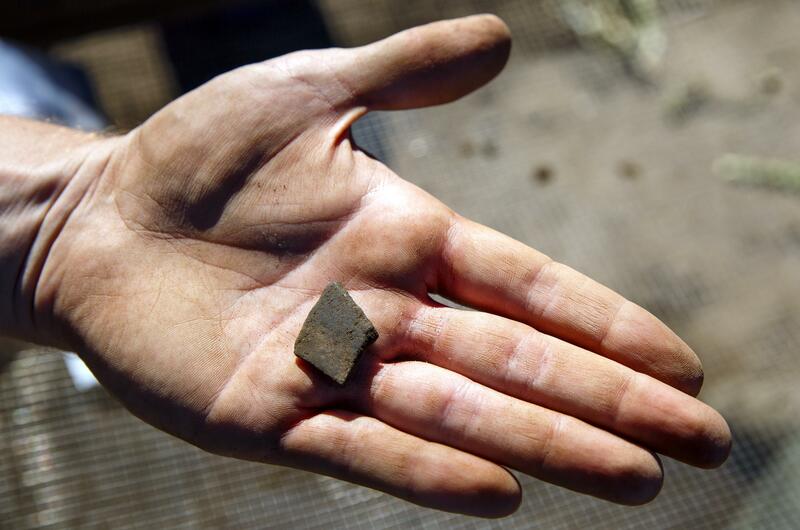 Archaeologists believe it may have been a furnace used to manufacture bronze objects. 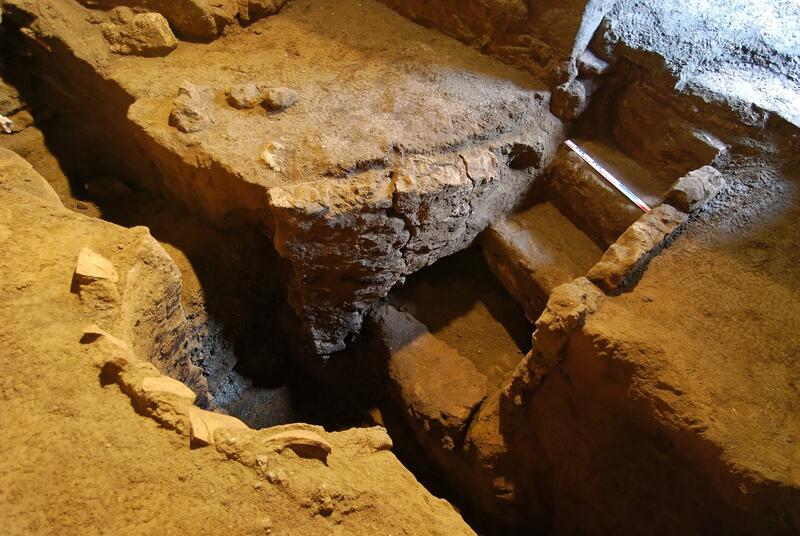 The second workshop, closer to the city gate, has a circular well dug into the soil that may have been used to extract construction materials. Archaeologists aren’t certain of its purpose. It was accessible by a spiral staircase carved into the terrain. Research will continue over the next month and other shops nearby will be excavated. 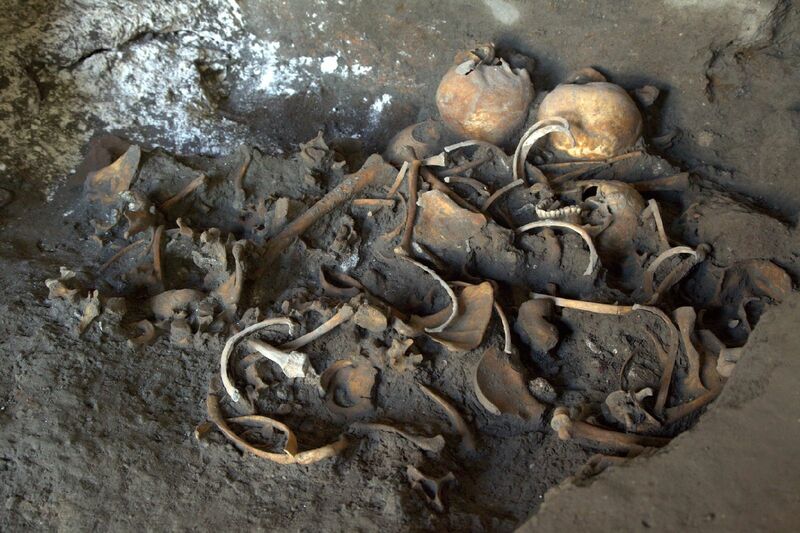 The remains of Vesuvius’ victims were found in the back room of one of the shops. The four appear to be young people, one of them a teenage girl, who made it outside the city gate but must have been compelled to stop and seek shelter, probably in the futile attempt to dodge the pyroclastic flow ringing the death knell for the city. 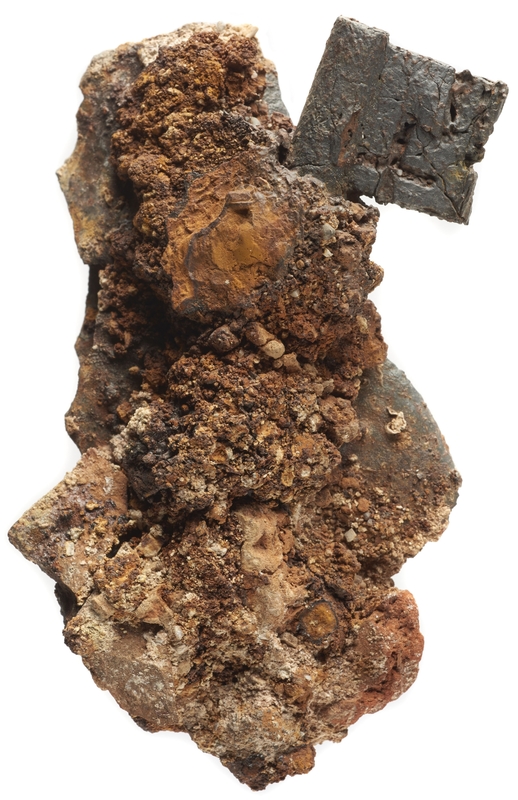 The remains were jumbled up against the wall, the result of looters known as fossores who tunneled through the ash to scavenge any valuables people had taken with them when they tried to outrun the volcano. The exact date of this incursion is hard to establish; sometime between the eruption of 79 A.D. and the official excavations of the 19th century. The fossores didn’t get everything, though. Three gold coins and a gold foil pendant in the shape of a flower were found amidst the bones. 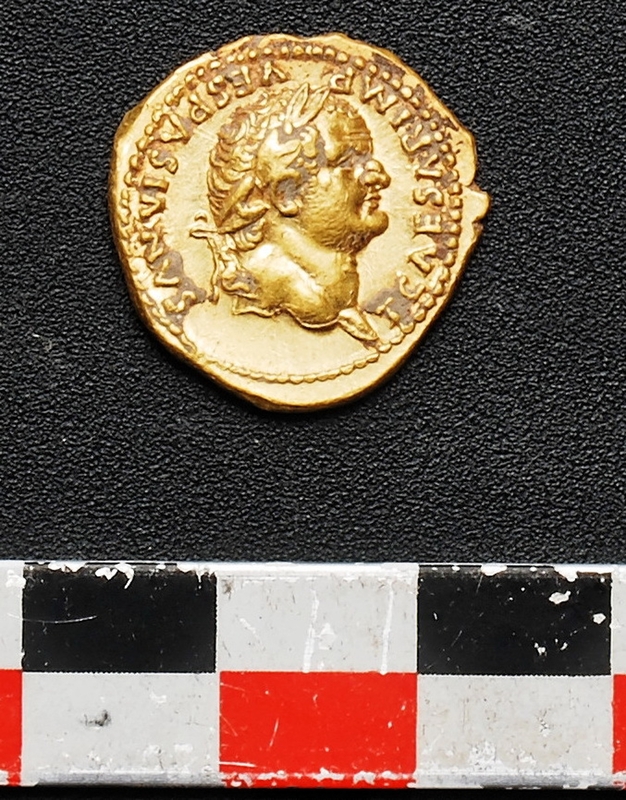 The coins are aurei of the emperor Vespasian dating to 74, 77/78 A.D. There were also some undamaged ceramics: a bowl, three small pitchers, two lids of cooking vessels charred from their quotidian use, not the eruption, and an elegant white urceus, a tall, slender, one-handled vessel used to contain garum, the fermented salted, sun-cured fish intestine sauce that Romans used on everything. 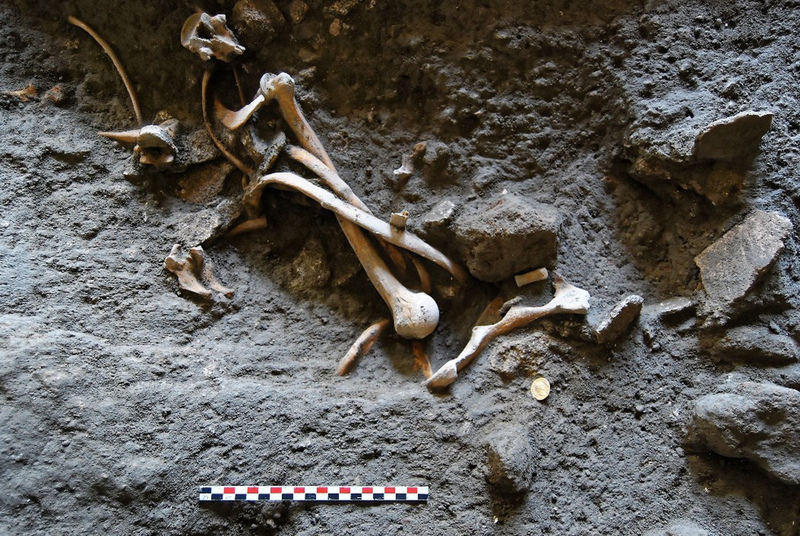 Dating to the 4th century B.C., the Samnite tomb is lined with limestone slabs and contains the remains of an adult male with grave goods quite different from those found in the tomb of a woman last year. There are six vases — among them an oinochoe, a lekythos, a kylix, a skyphos and a globular aryballos with a flat bottom — all black painted without any decoration painted over it, unlike last year’s tomb. 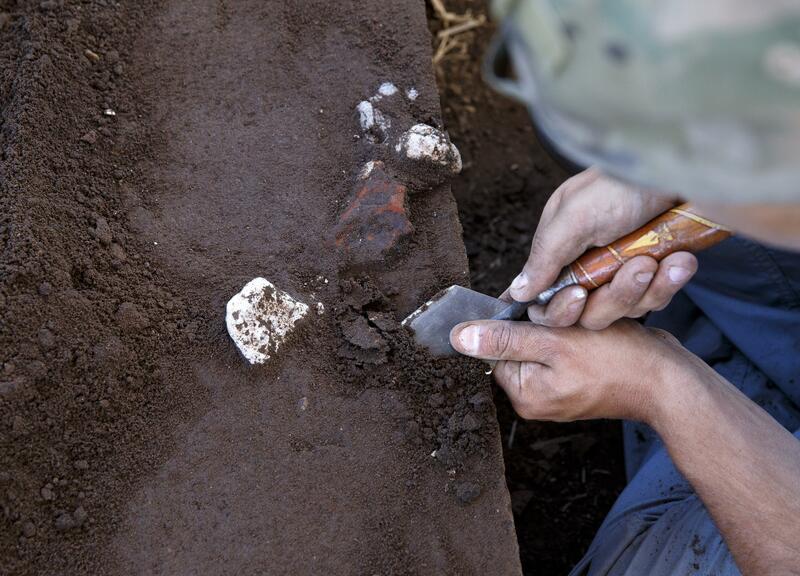 The tomb is not fully excavated yet, but archaeologists are on the look-out for remains of a belt buckle and/or weapons that have been found before in the graves of Samnite men. From the late 5th century, early 4th century B.C., a period of great transition when the Samnite peoples, originally located in the Apennines, spread into the territories of other Italic tribes and Greek colonies finally reaching the Mediterranean. Before the eruption of Vesuvius, Pompeii was less than a third of a mile from the coast, so the Samnite presence there is an important benchmark of the last stages of its expansion. Very little archaeological material has been found from this period, so all discoveries take on even greater significance. Under a cornfield in Cass County, Illinois, near where the Sangamon River flows into the Illinois, are the remains of a bustling Native American town that thrived from the 12th century through the 15th. The town had a central plaza, surrounded by three platform mounds, houses and defensive walls 10 feet tall and more than 1,000 feet long in each direction. Known as the Lawrenz Gun Club Site after a shooting club built on one of the mounds in the mid-20th century, the site has been studied by archaeologists and students from the Indiana University-Purdue University Indianapolis (IUPUI) every summer for six years. It was the remains of the mounds that first indicated a community of the Mississippian culture had once inhabited the site, but the town ranges far beyond that, covering over 26 acres. 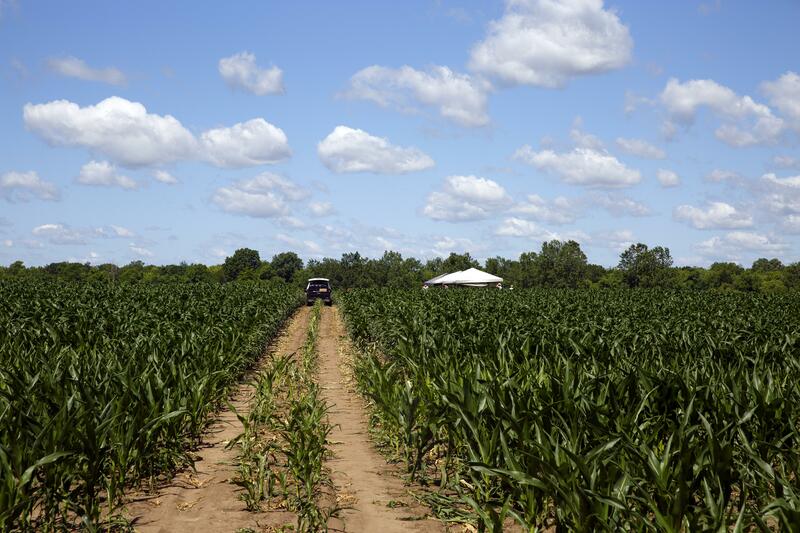 IUPUI’s archaeology field school used remote sensing technology to establish the perimeter of the site and, since they can’t dig up the whole cornfield, to identify areas likely to contain artifacts. This excavation season alone they’ve unearthed 97 bags of archaeological material including projectile points, pottery of many different kinds from cookware to storage vessels to dishes, stone tools, plant and animal remains. Only once in the six years have they encountered a human burial. Officials were notified in compliance with federal law, the grave was reburied and the remains left undisturbed. For Flood, the most fascinating part of the multi-year investigation has been the huge, elaborate defensive walls built to protect the city. Based on the artifacts unearthed so far as, the walls and the dwellings, researchers estimate that the village had a population of 400 to 600 people from around 1100 through 1450 A.D., making it probably the largest village in the area. The inhabitants grew crops, primarily maize, and also foraged wild resources from their environment, including seeds, grasses, nuts and marshelder, a ragweed relation with edible seeds that was cultivated by the earlier Kansas City Hopewell culture of Kansas and Missouri before maize displaced it. The surrounding area also provided abundant hunting and fishing. 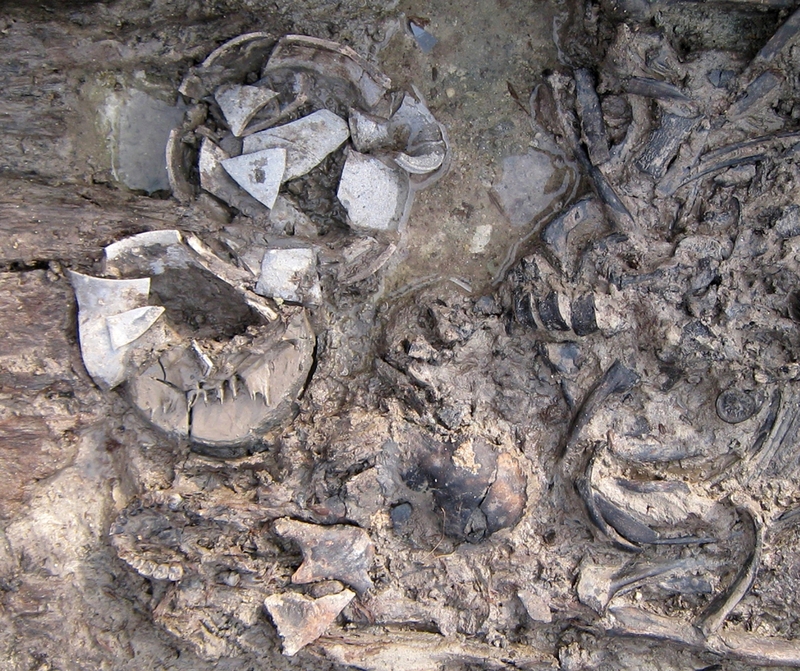 The IUPUI team has found a great many bones of fish, waterfowl and land mammals. A large community with impressive fortifications in a fertile location with plentiful plant and animal resources, the village likely traded with the great city of Cahokia, now the Cahokia Mounds State Historic Site, to the north. Like Cahokia and other known Mississippian communities, the Lawrenz Site met an abrupt end in the mid-15th century. Archaeologists believe a combination of the Little Ice Age and severe drought may have brought on repeated crop failures which drove the population to abandon their settlements and seek greener pastures. With no food left to protect, fortifications that once defended the stores become prison walls enclosing only the prospect of mass starvation. This season’s excavation will conclude at the end of the month. 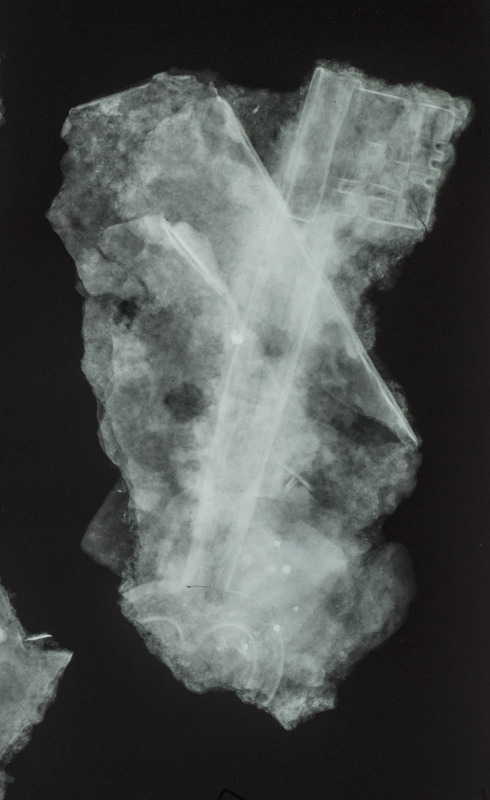 The 97 bags of artifacts and remains will be sorted, cleaned and analyzed in laboratory conditions back the university in Indianapolis. Every fragment is of interest as a potential source of information about the daily lives of the inhabitants of the prehistoric town. The Great Fire of London broke out in the wee hours of September 2nd, 1666, and raged for three days, leveling the old city within the Roman walls, a quarter of London, and destroying more than 13,000 homes, St Paul’s Cathedral, 87 parish churches, the Royal Exchange, Newgate prison and London Bridge. 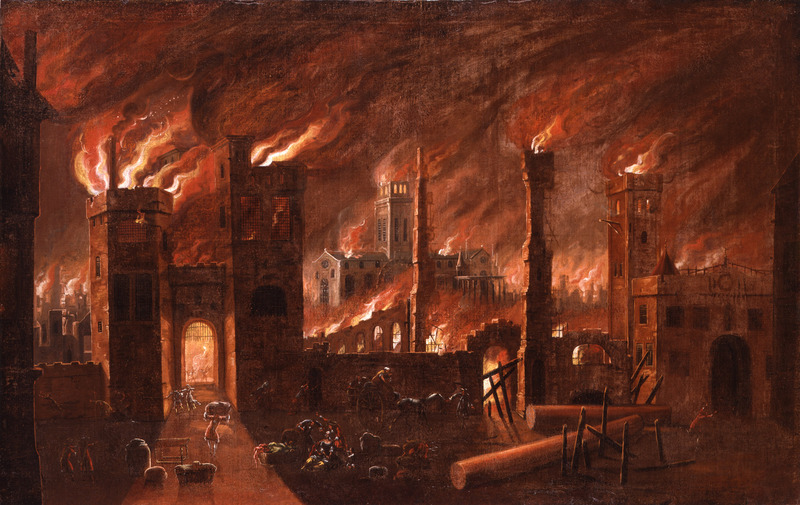 The Museum of London will mark the 350th anniversary of the conflagration with a new exhibition, Fire! 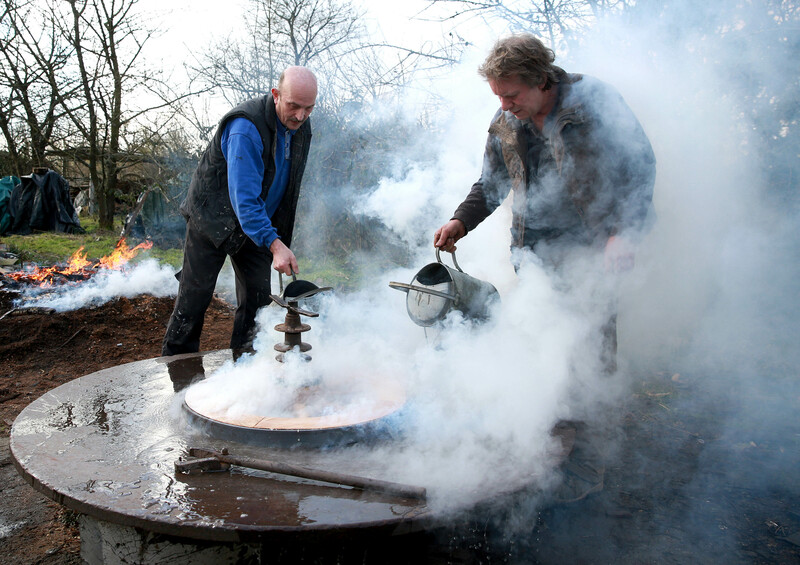 Fire!, which will showcase life in the city before the fire, the events of the fire itself and how London recovered. The museum will display period art and artifacts in its collection that illustrate the devastating fury of the fire. 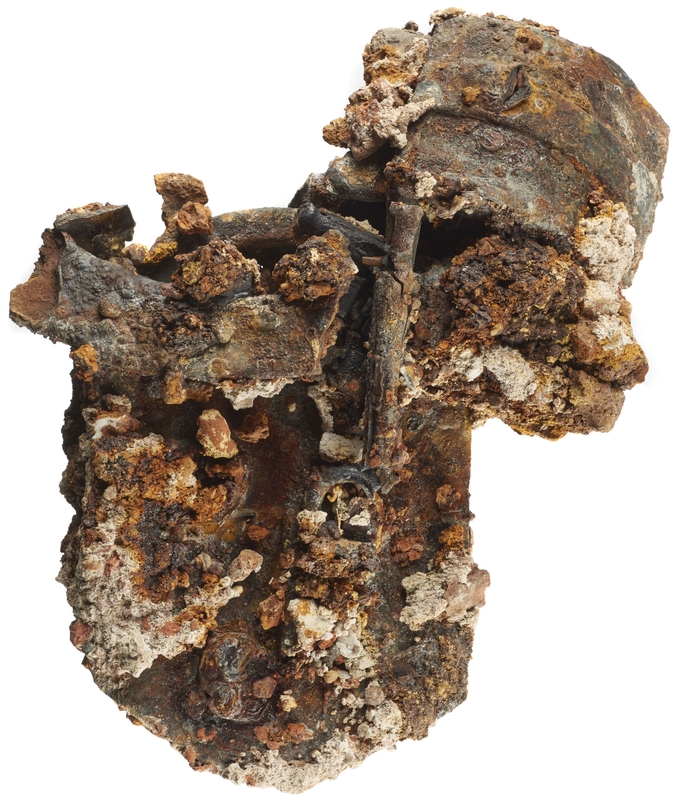 Some, like burned and melted pottery fragments from a shop on Pudding Lane near where the fire first sparked, have been on display before. 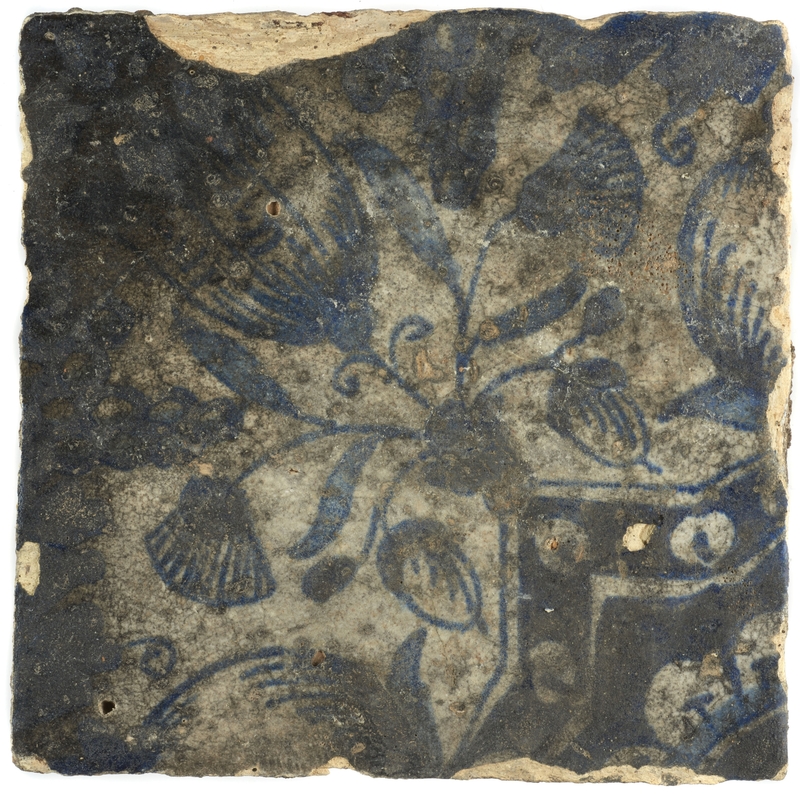 Others have never been seen in public before, for example a ceramic roof tile melted and bent in half by temperatures of at least 1500 Celsius and a singled floor tile, burned iron padlocks and keys found at Monument House on Botolph Lane, one street down from Pudding Lane. 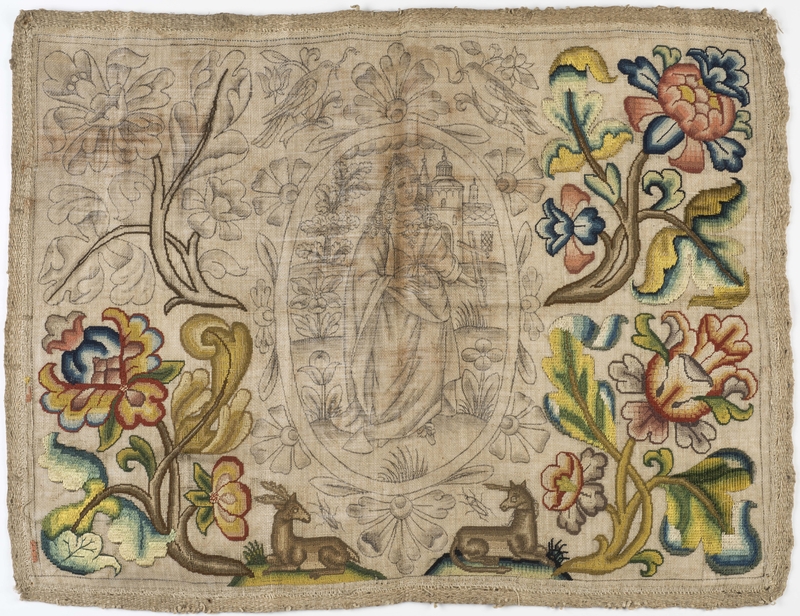 Another piece on display for the first time is an unfinished needlework panel believed to have been saved from a house in Cheapside during the fire. There are also two letters written by eye witnesses, one from James Hicks, a post office employee whose office burned down just after 1:00 AM on September 3rd. He fled with his family taking as many letters as he could with them. His letter informed postmasters of the destruction. 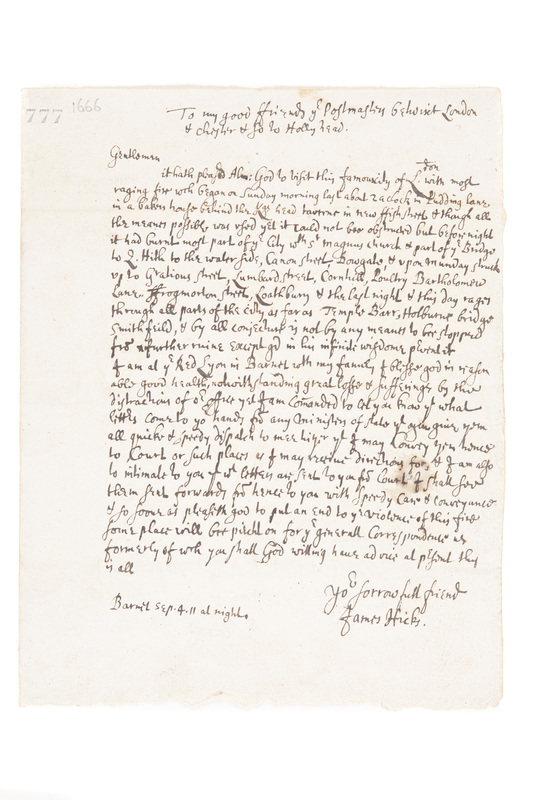 The other letter was from Robert Flatman to his brother Thomas who worked in the city as a barrister but was out of town for the Great Fire. In the letter of September 9th, 1666, Robert told his brother that he had saved his books from his chamber in one of the Temples (professional associations where barristers kept their offices and lodgings). In 1666, much of the City of London was little changed from the Middle Ages, a warren of cobblestone alleys tightly packed with crowded timber tenement buildings whose upper storeys jutted over the street to maximize precious square footage. By the mid-17th century the overhanging jetties projected so far over the alleyways that they kissed the jetties from buildings across the street, which made fire very easy to spread and practically impossible to stop. When the fire started in Thomas Farriner’s bakery on Pudding Lane, it quickly jumped from building to building and soon formed an implacable wall of flame too hot for people to even attempt to counter. 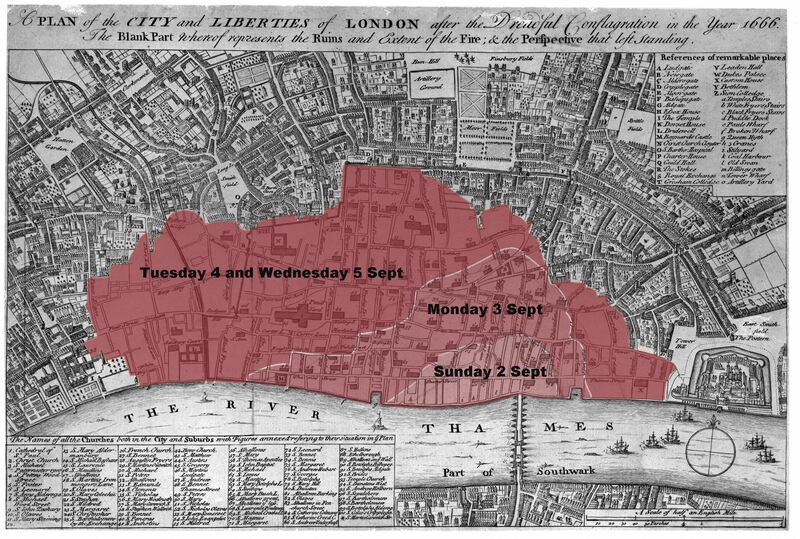 Perhaps controlled demolition of structures forming a firebreak perimeter could have contained it, but Lord Mayor Sir Thomas Bloodworth didn’t order those until the fire had burned all night and day. What little firefighting equipment existed was small-scale and ineffective: tall ladders, leather buckets of water and squirt guns that look like large syringes could douse a building fire when deployed quickly, but once fire spread these tools couldn’t keep up. Long firehooks were used to pull down buildings, and when the buildings were too high for that, controlled demolition by gunpowder might do the trick. Once the fire was raging, it was too hot and fast for these methods to work. Once the Thames waterfront was on fire, the city’s supply of water was cut off. Early fire engines carried barrels of water to a fire and pumped it out, but they delivered a comparatively meager stream of water, and that’s assuming they could even make it down the winding alleys of the City of London. Some were on sleds, other on wheels. 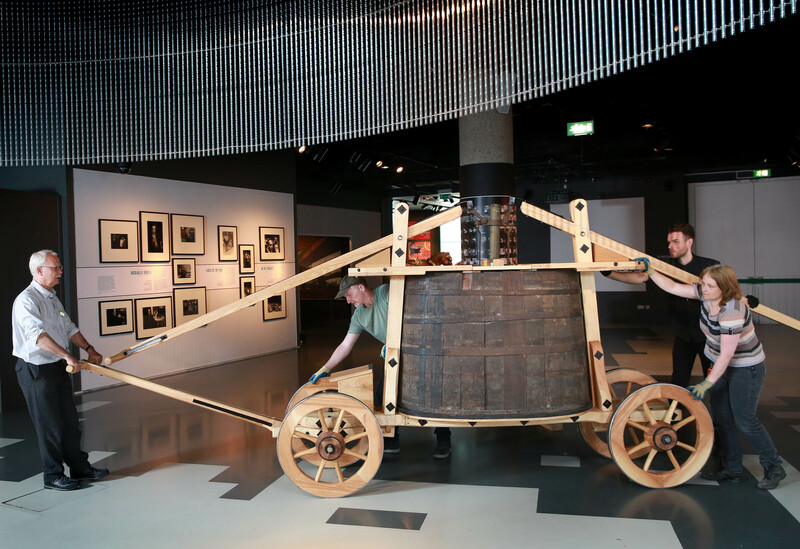 The Museum of London has a very rare surviving 17th century fire engine which it acquired in 1928. 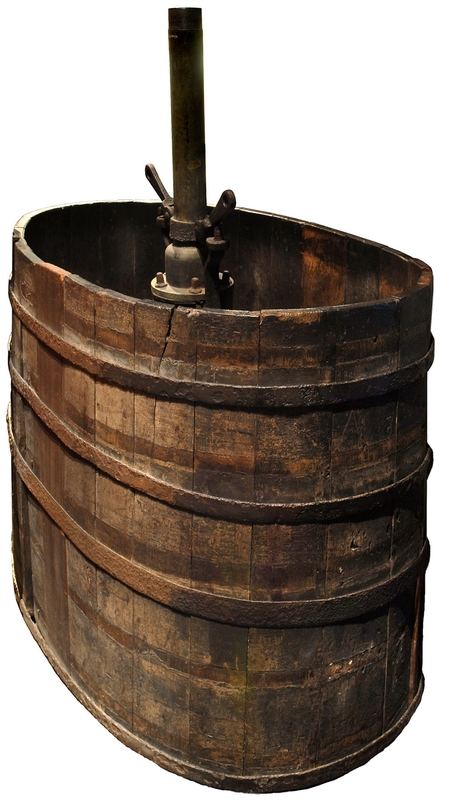 It has been on display, but since all that remains in the central barrel and pump, it just looks like a wooden keg with an iron tap sticking out the top. 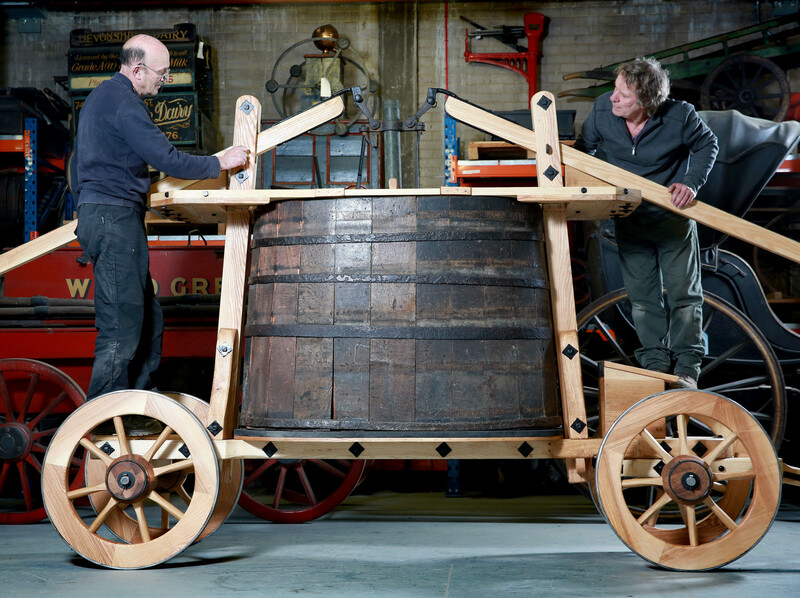 For the new exhibition, the museum employed Croford Coachbuilders in Kent to reconstruct the vehicle that carried the barrel and pump. They used traditional methods, tools and material to recreate the carriage. 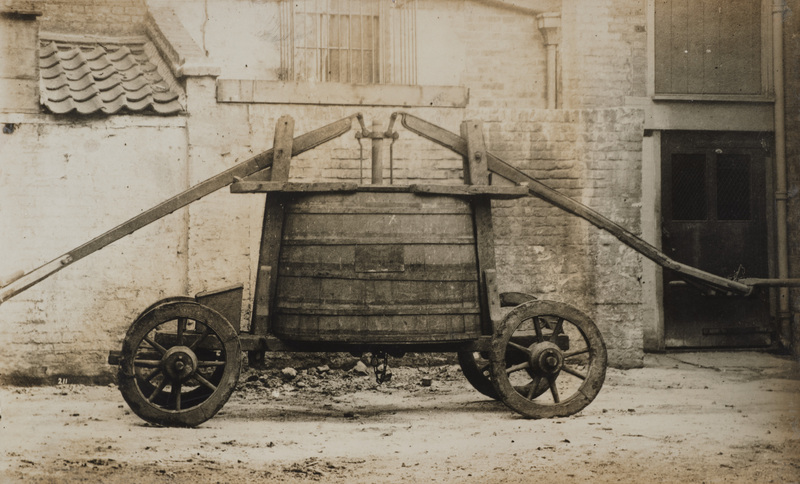 With no plans to go by, the coachbuilders used a 19th century photograph located by museum curators of the engine from when it was still complete with undercarriage, tow bar and pumping arms. Curators also found a print showing the fire engine, designed by John Keeling in London around 1678, in action, which helped the craftsmen replicate the original. This video documents the construction process. It’s a fascinating summary which I wish were longer. My favorite part is when they take the completed wheel made of three different kinds of woods — elm for the hub, oak for the spokes, ash for the felloes (the part that goes around the spokes) — and fit the iron rim onto it. The rim has to be slightly smaller than the wheel to keep it all together, so they heat that bad boy up so it expands, slap it on the wheel, then quickly dump cold water on it to keep the hot iron from burning the wood and to force the iron to contract around the wheel. It’s smoke-filled awesomeness. Fire! Fire! opens on July 23rd, 2016, and runs through April 17th, 2017. 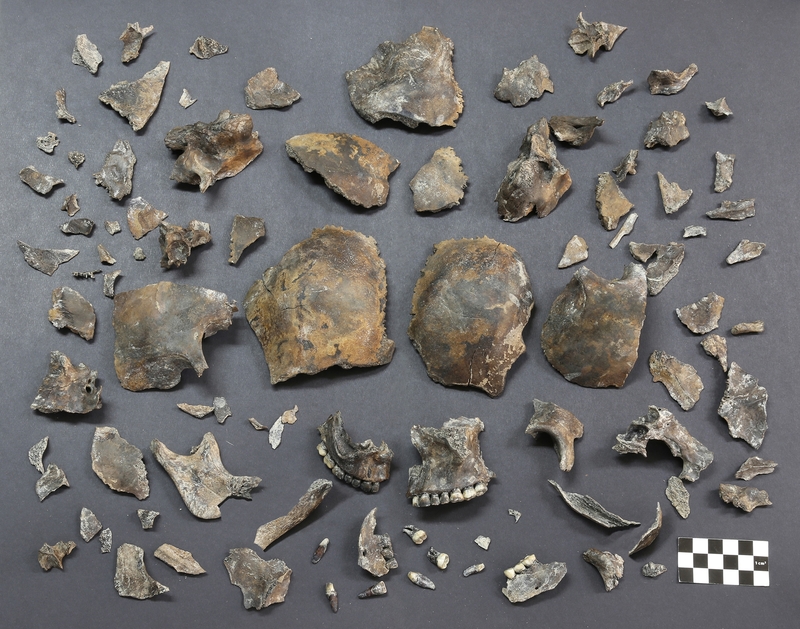 In late 2013, archaeologists excavating in advance of a driveway construction project near Gyeongju, a town in southeastern Korea that was the ancient capital of the Silla Kingdom, unearthed human skeletal remains. Found in a mokgwakmyo, a traditional wooden coffin, in a marshy area, the skeleton was complete and relatively well-preserved, albeit fragmented in places. Grave goods, including pottery and a wooden comb, were found inside the coffin that identify it as a Silla-era burial. The Silla Kingdom started as a small city-state in 57 B.C. and ruled an increasingly large part of the Korean Peninsula until 935 A.D. Its thousand-year duration is one of the longest in the historical record, and two of its ruling dynasties — the Parks and the Kims — transcended the kingdom to become the most common family names in Korea today. 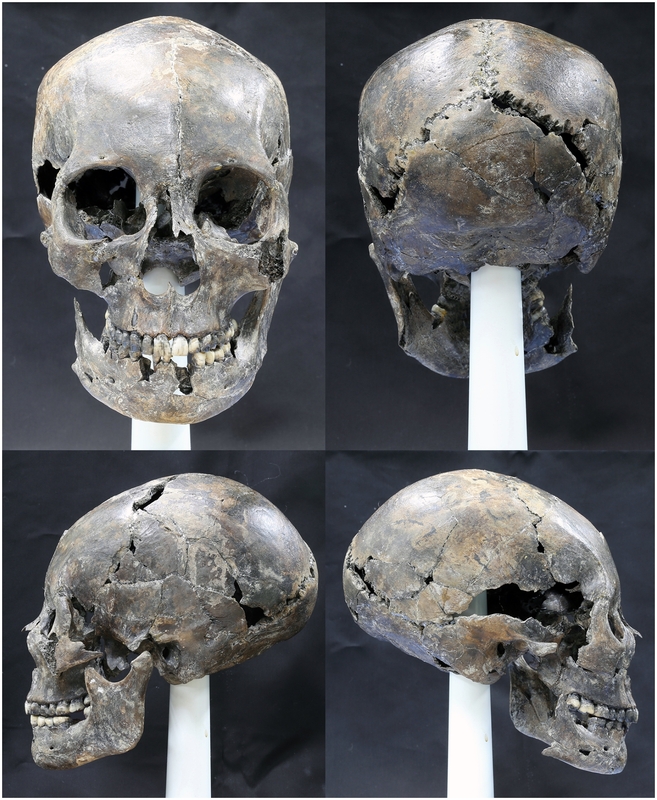 Despite the Silla Kingdom’s long life and enormous influence on the history and modern culture of Korea, researchers have had few opportunities to study Silla bones at all, and never with multiple analytical technologies. Intact human remains from the Silla period are rare because Korea’s acidic soil and the cycles of hot/wet, cold/dry weather accelerate the decomposition of soft tissue and bone alike. 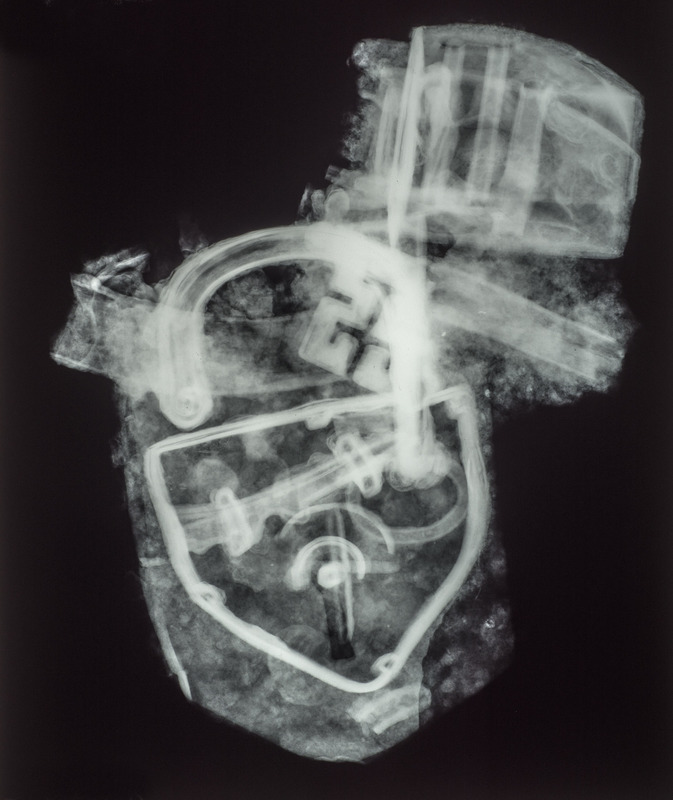 A 4th-6th century grave discovered in 2009 contained unprecedented complete sets of human and horse armor, for example, but not a single human remain. 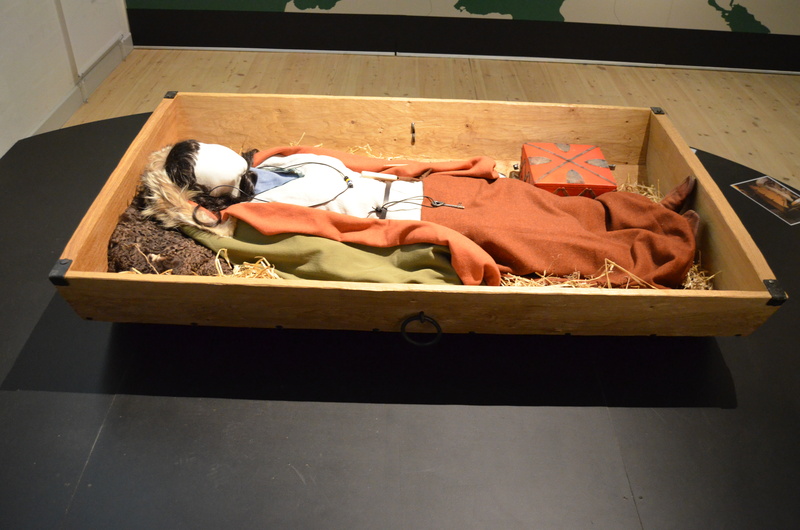 The wooden coffin survived, as did a box with assorted grave goods. The bones had disintegrated. The discovery of a complete skeleton in 2013 gave scientists the chance to carry out anthropological analysis, extract mitochondrial DNA, run stable isotope tests and craniofacial analyses that led to a full facial reconstruction. The person deceased was a woman between 35 and 39 years of age at time of death. The length of the femur indicated she was around 155 cm (five feet) tall. The mitrochondrial DNA results placed her haplogroup F1b1a, a haplogroup typical of East Asia but not the dominant group in living Koreans today. Stable isotope analysis found that her diet consisted mainly of foods in the C3 category (wheat, rice and potatoes) and was likely vegetarian. Her skull was found broken in dozens of pieces. In order to help determine her gender and to create a facial reconstruction, archaeologists cleaned the fragments and dried them. Each piece was scanned and imported into 3D modelling software to figure out how the pieces fit together. Once the model was complete, the team then puzzled together the actual skull from the fragments. Her skull was unusually long and narrow. This kind of head shape often seen in cases of intentional cranial deformation. It appears to be natural in her case. Intentionally deformed crania are flatter in the front and the bones of the side grow to compensate from the pressure of the deforming agent (usually a piece wood or tight bindings applied to infants when their skulls are still soft). 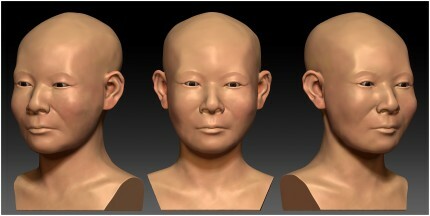 In the craniometric analysis, the major cranial indices were compared with the corresponding data derived from the subjects of modern Korean adults. 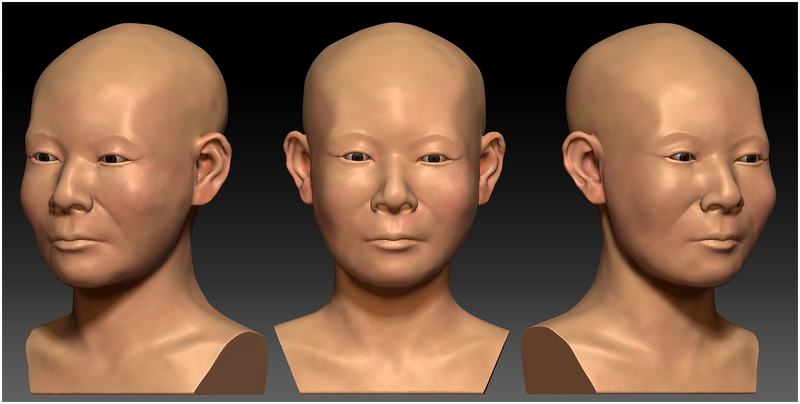 The results showed that the skull has longer, narrower and lower cranium with a narrower facial bone and orbits than those from the modern Korean adults groups. The nasal aperture demonstrated an average width in the nasal index. In terms of appearance, it was assumed that the individual had horizontally long & vertically short head with inclined forehead from lateral view and narrower face from frontal view. This dolichocephalic or long-headedness trait is rare in the population of Korea today. Koreans are more often brachycephalic, defined as the width of their skull being at least 80% of the length. You can read the full study published in the journal PLOS ONE here. 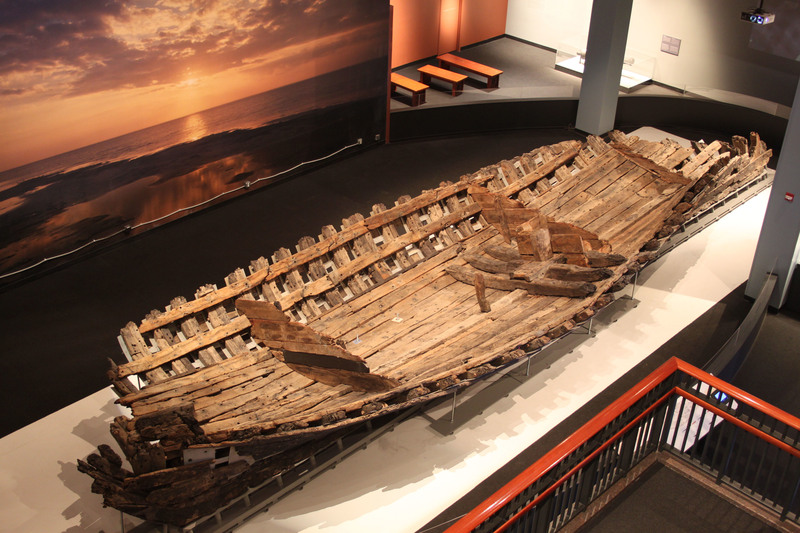 After 17 years, restoration of the hull of La Belle, one of four ships that carried French explorer René-Robert de La Salle and 300 would-be colonists on his mission to the Gulf of Mexico, is finally complete. La Belle was a 54-foot frigate that could navigate open ocean but was had a shallow enough draft that it could hand coastal and river waters as well, an essential design for this trip since La Salle’s aim was to found a colony in the Mississippi River Delta. Their poor maps of the Gulf sent the explorers way off course. When his main storeship, L’Aimable, ran aground, La Salle was compelled to transfer as much of her contents as he could salvage to La Belle, so when a storm claimed her too off the coast in Matagorda Bay, 400 miles west of the Mississippi Delta, in 1686, she sank with a disproportionately huge complement of artifacts and supplies. 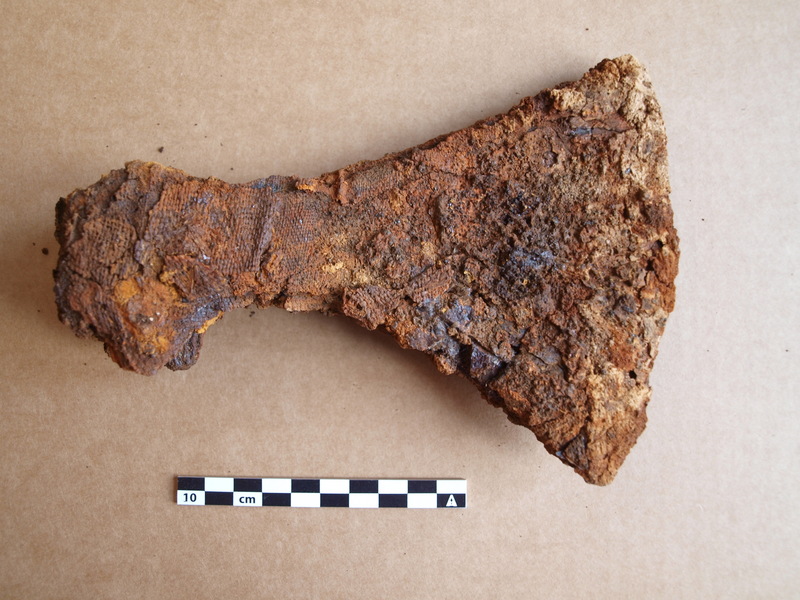 That gave the Texas Historical Commission archaeologists who discovered the wreck in 1995 a lot of work to do. 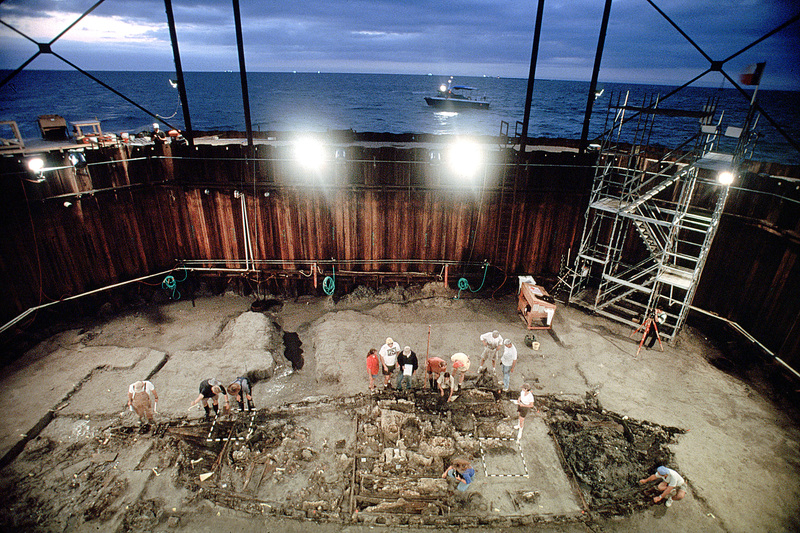 They built a double-walled cofferdam around the wreck, pumped out the water and from September of 1996 to April of 1997, excavated the surviving bottom third of the ship’s oak hull. 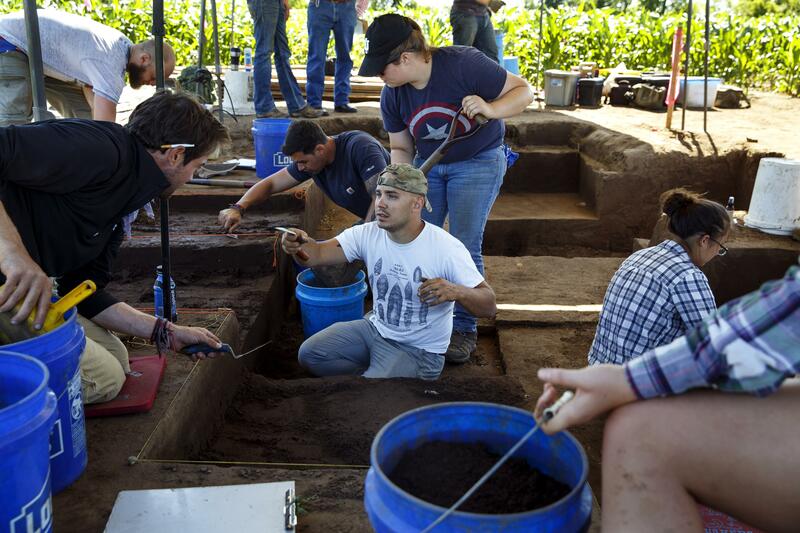 By the end of the excavation they had recovered nearly 1.6 million objects — barrels of gunpowder, weaponry, personal items, cookware, crates full of trade geegaws (brass rings, pins, hundreds of thousands of glass beads). 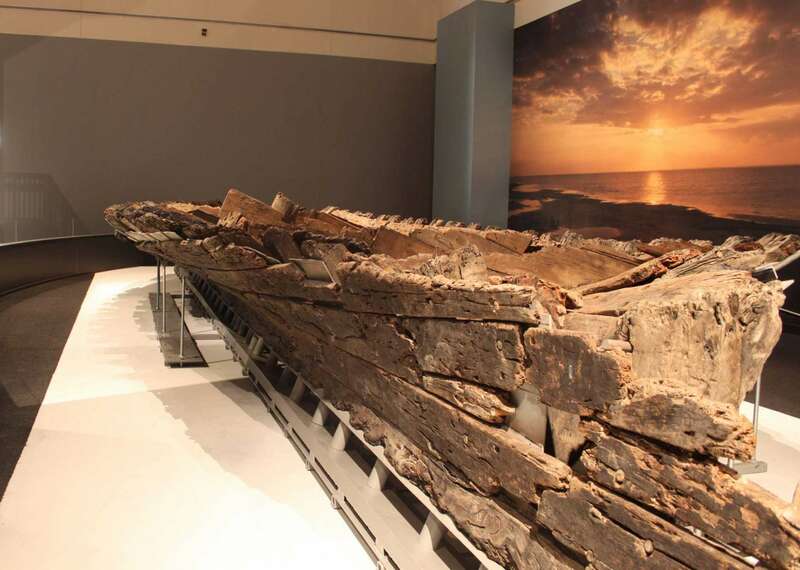 The hull was sent to Texas A&M University’s Nautical Archaeology Program where the timbers were soaked in a bath of polyethylene glycol (PEG) solution, a petroleum-based polymer that replaces the water in wood to keep it from warping, cracking or shrinking when it dries, for 10 years. When the high price of oil made the use of PEG prohibitively expensive, conservators put the timbers in the largest archaeological freeze-dryer in the world. After four years in the freezer, in the summer of 2014 La Belle‘s timbers were transported to the o the Bullock Texas State History Museum in Austin. There they were reassembled in a side gallery where the process could be viewed by the public. 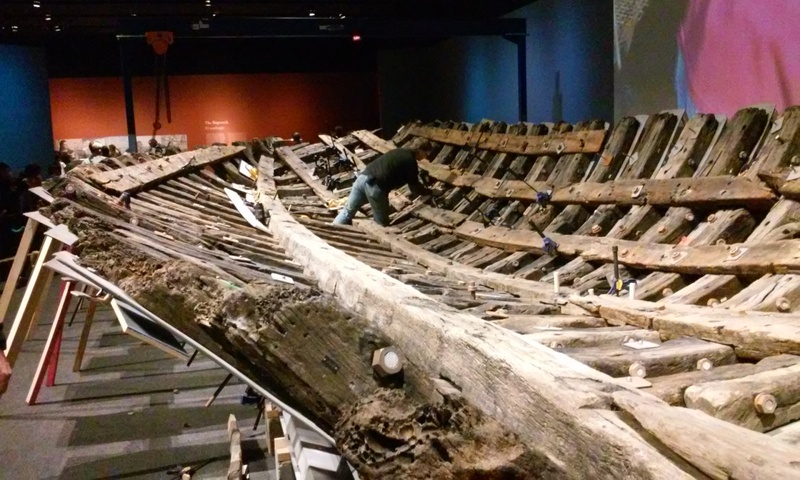 In May of 2015, reassembling of the timbers was complete and the entire hull was moved to the main gallery of the museum, its final resting place after 20 years of upheaval. 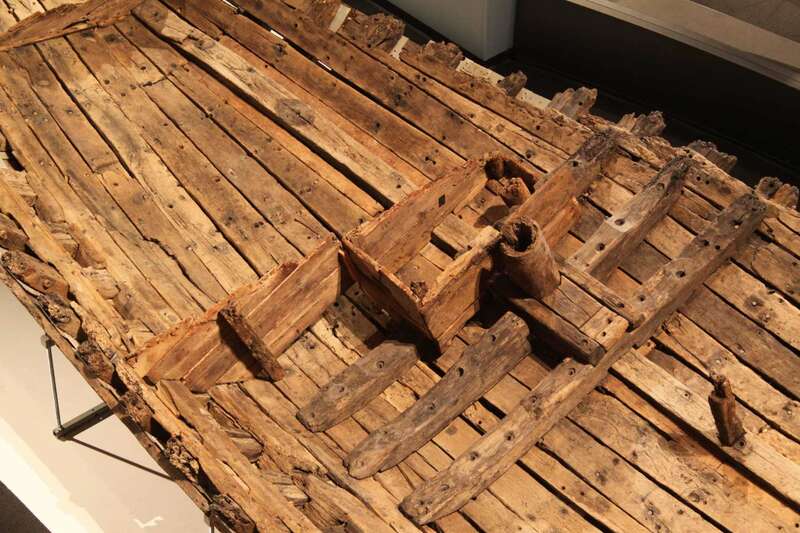 While the hull timbers were back together again, the restoration wasn’t finished yet. The were gaps that needed to be closed and additional surviving sections of the hull added to the structure. While conservators were working on that, the main gallery was refurbished around the ship’s hull to create the permanent exhibition that would fully showcase La Belle and its many artifacts. 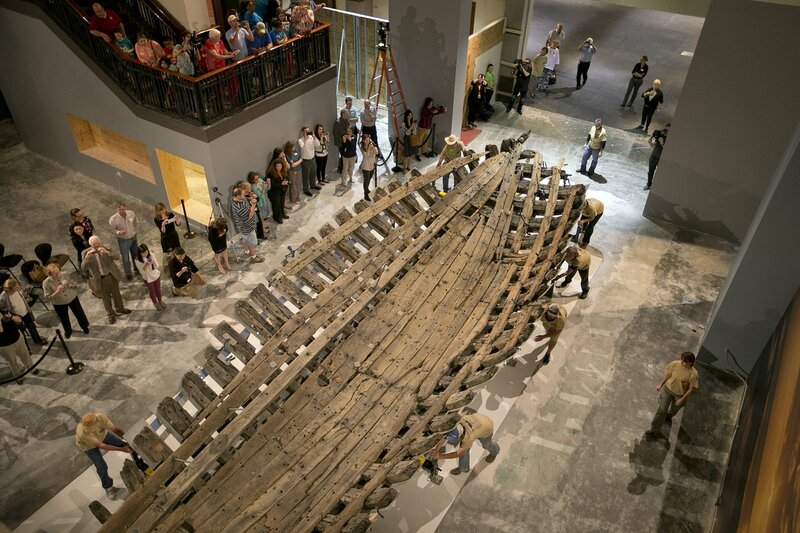 The restoration is now complete and the ship positioned at a 21-degree angle, just as it was on the sea floor when archaeologists excavated it. The temporary exhibition La Belle: The Ship That Changed History, is ongoing now. The permanent exhibition is scheduled to open in November, after which some of the artifacts from the wreck will become part of a traveling exhibition that will visit several locations in the United States and France, which is still the legal owner of La Belle and everything on it. 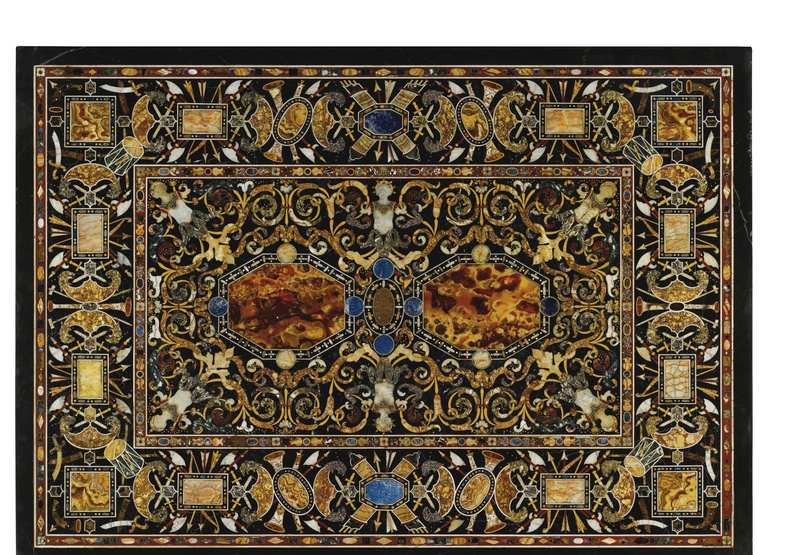 The UK Culture Ministry has put a temporary export bar on an Italian inlaid pietre dure table top that sold for £3,509,000 ($5,323,855), more than five times its high estimate, at a Sotheby’s auction last December. 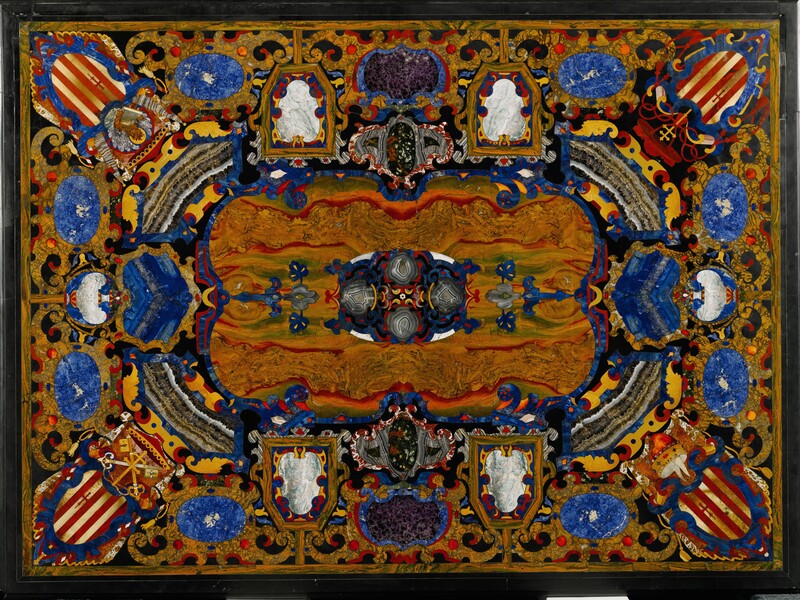 Made in the Grand Ducal workshops in Florence between 1600 and 1620, the table top is a glorious technicolor extravaganza of marble and semi-precious stone including agate, quartz, chalcedony, jasper and imported Persian lapis lazuli of the highest quality. 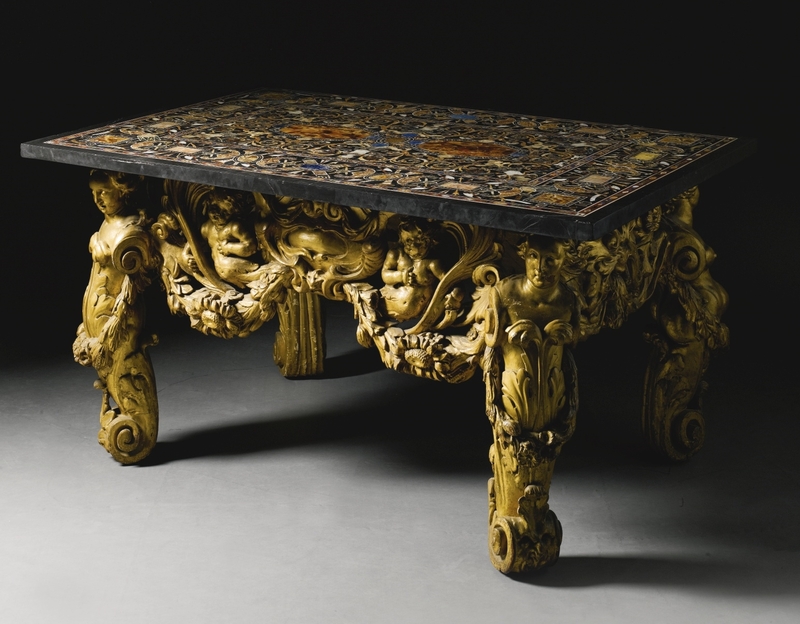 The four corners of the table are inlaid with coats of arms of the Grimani family, one of Venice’s most wealthy and powerful noble families. Family crests are rare motifs in the hard stone tables made by the Grand Ducal workshops, and this table is unique in having four of them. The abstract decoration around the crests is also unique. Other armorial table tops were commissioned by the Medici family as gifts for allies and dignitaries, and almost everything produced in the workshops was done at the behest of the Medici family. It is possible that the Grimanis arranged a private commission. There are no extant records to confirm either way. The family certainly had enough pull to access the Grand Ducal workshops. Founded by spice and textile merchant Antonio Grimani (1434-1523), the family’s fabulous wealth catapulted them to the top of Venetian society. Antonio was the first Doge, elected in 1521 and serving until his death. 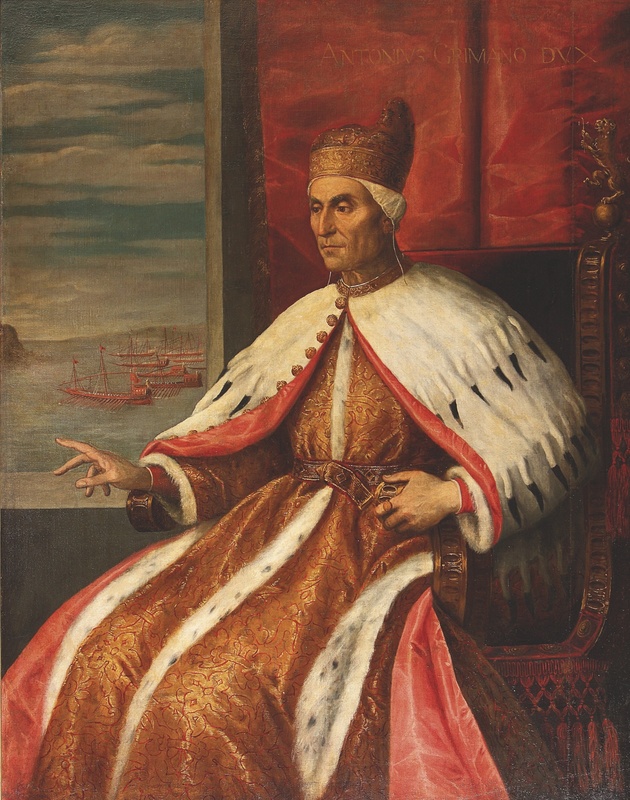 There would be another two Doges in the family — Marino Grimani (1532-1605) and Pietro Grimani (1677-1752) — and a great many other big shots in the Church, business and politics. The table top’s decoration telegraphs the prominence of the family in multiple fields. Each of the four crests is topped with a different symbol. The red domed hat (bottom right corner in the picture) is the Corno Ducale, the traditional headpiece of the Doge. The crossed keys of St. Peter (bottom left) represent the family’s support of the papacy and the many papal offices they held in reward for that support. The lion holding a book (top left) is the symbol of St. Mark the Evangelist, Venice’s patron saint, is a nod to two cardinals in the family who held the prestigious position of Cardinal Priest of San Marco. The double cross (top right) refers to the Grimaldi holders of the coveted and highly lucrative position of Cardinal Patriarch of Aquileia. The Grimanis were not shy about parading their wealth. They amassed major collections of antiquities and art and packed them into two great palaces, the Palazzo Grimani di Santa Maria Formosa and the Palazzo Grimani di San Luca on the Grand Canal. Both palaces employed some of the greatest architects of their time, including Sansovino and Palladio. 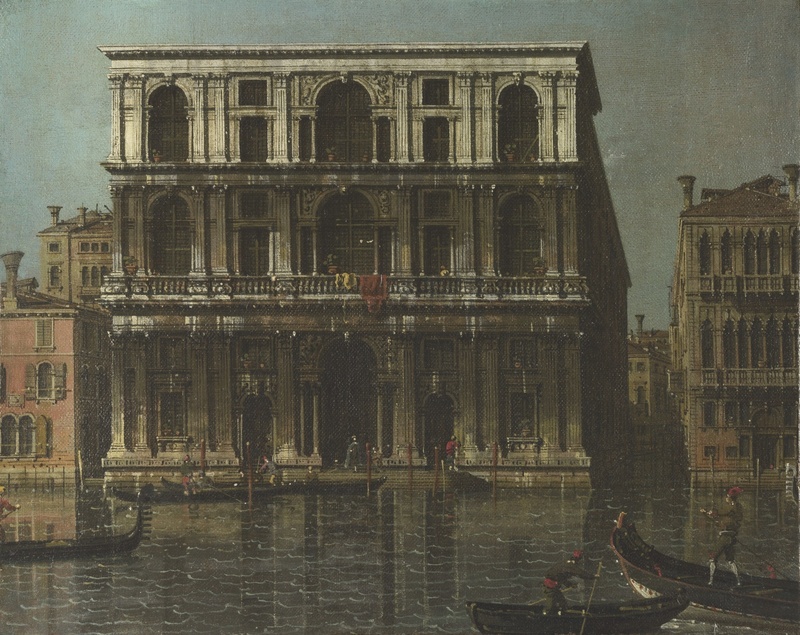 Family members and the palaces were painted by the likes of Tintoretto and Canaletto. 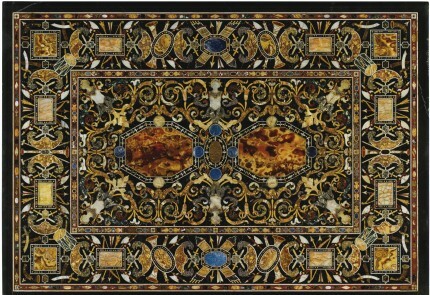 The pietre dure table top had to be grand to decorate these homes. The fortunes of the Grimani family began to decline in the late 18th century courtesy of the Napoleonic invasions. The family started selling off their collections piecemeal in 1806. They sold off the Palazzo Grimani di San Luca to their new Austrian overlords in around 1816-1818 and the Austrians converted it into a post office. The table top was in the Palazzo Grimani Santa Maria Formosa until 1829 when it was acquired by Henry Greville, 3rd Earl of Warwick (1779-1853) through British Consul William Taylor Money (1765-1834) who acted as Lord Warwick’s agent in the purchase of the table top and a marble floor for the earl to install in the renovated Great Hall of Warwick Castle. Interestingly, the Grimani’s refused to sell the entire table. The insisted on keeping the legs and base of the table which they then topped with a fake apparently to save face. Lord Warwick had a new base made and by 1847 the table was on display in the Gilt Drawing Room. 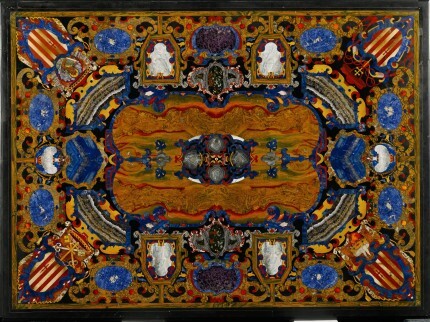 Another pietre dure table top Warwick bought from the Grimani’s was displayed in the State Bedroom. 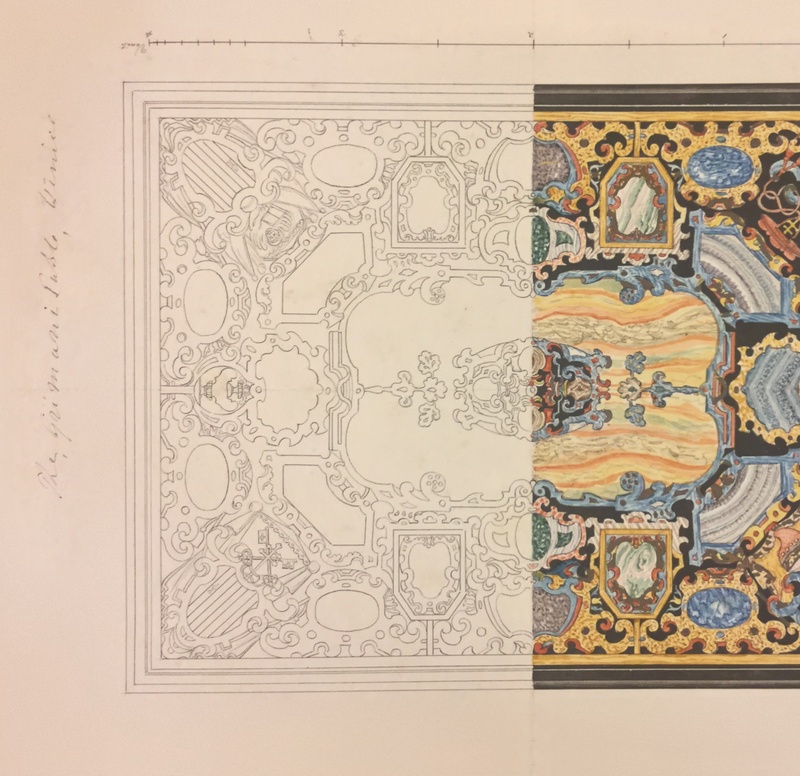 The second table top was made in Rome and doesn’t have anything like the same visual impact or historic iconography, but it’s still an exceptional example of the art form. 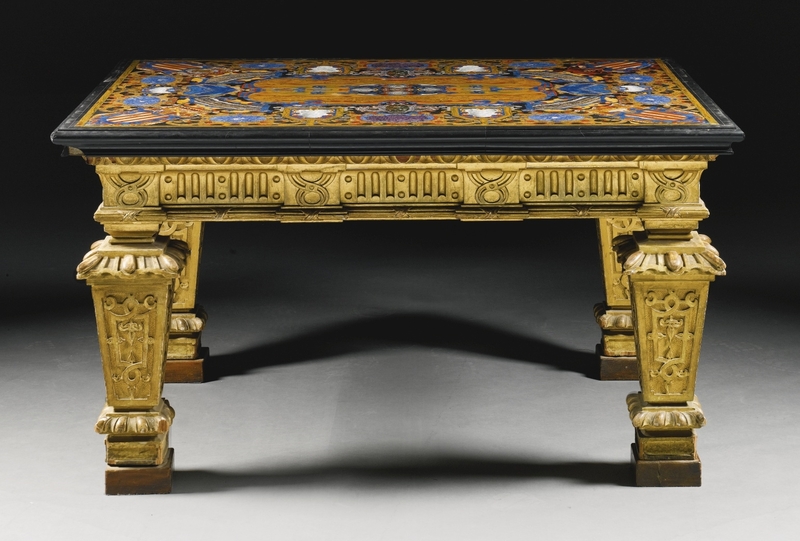 Both table tops were sold at the Sotheby’s auction. 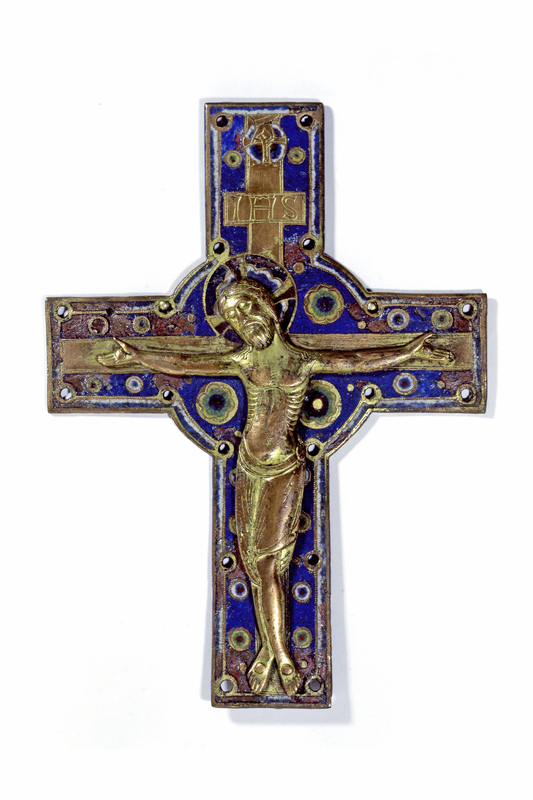 The Roman piece sold for £1,625,000 ($2,465,450), more than three times its high estimate. The UK is not blocking export of that one, but there’s no reason to assume the buyer applied for an export license in the first place. British institutions have until September to raise the purchase price plus VAT of the Florentine table to keep it in country.